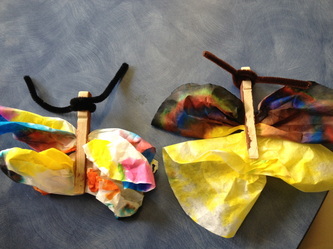 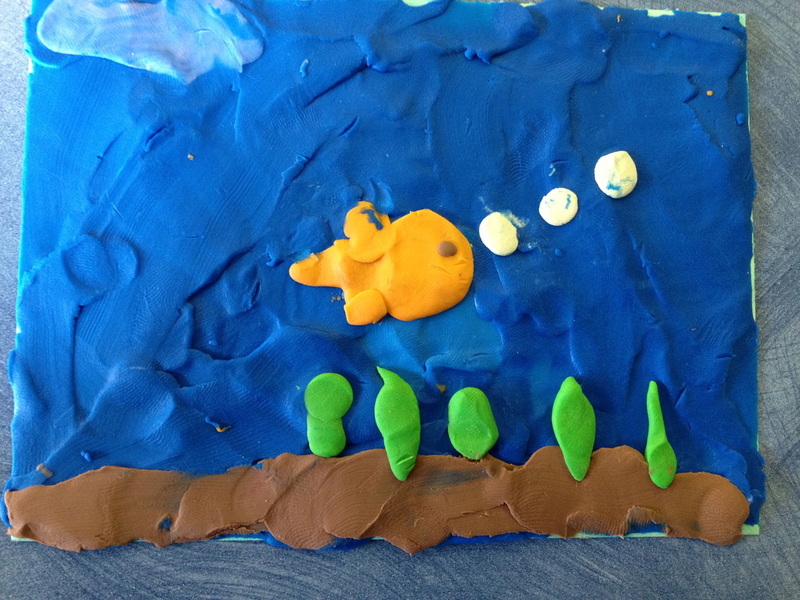 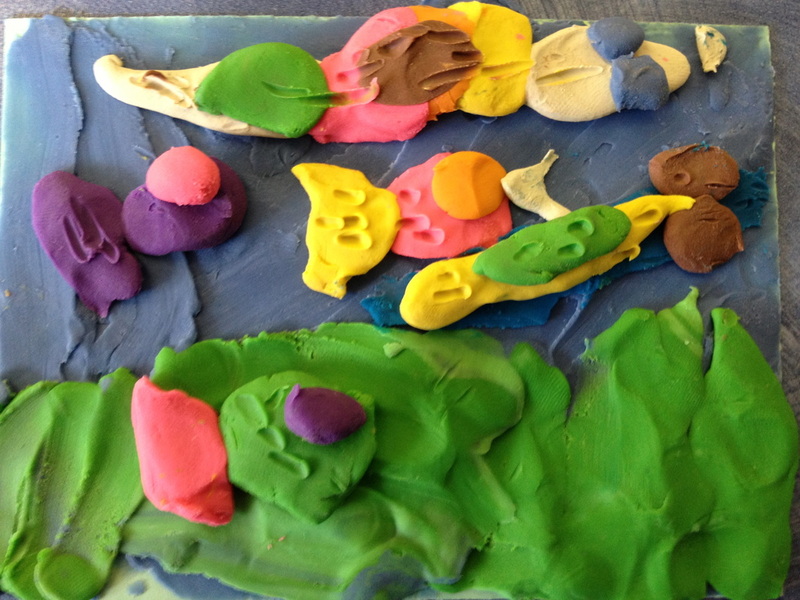 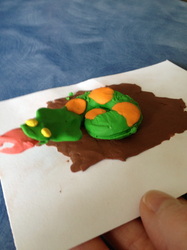 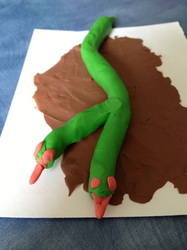 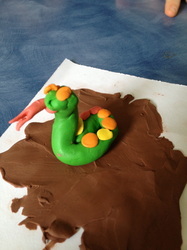 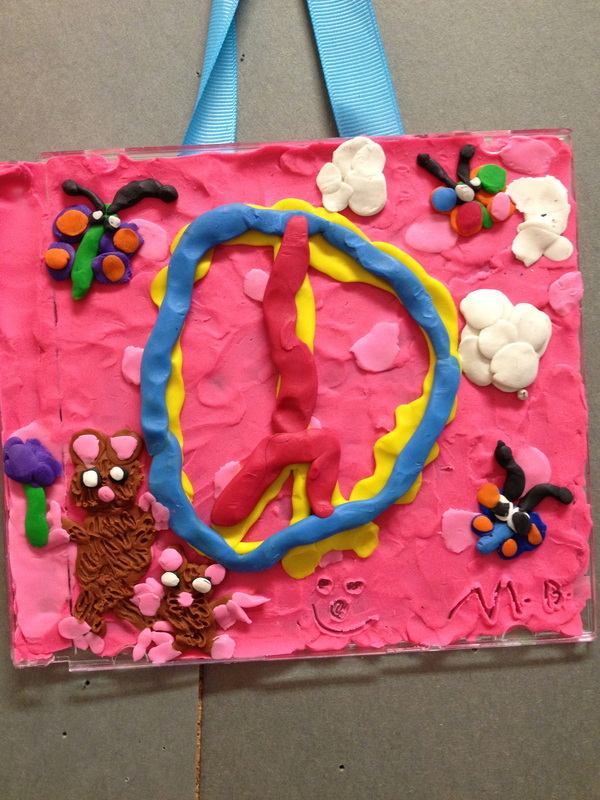 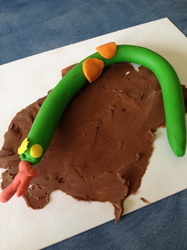 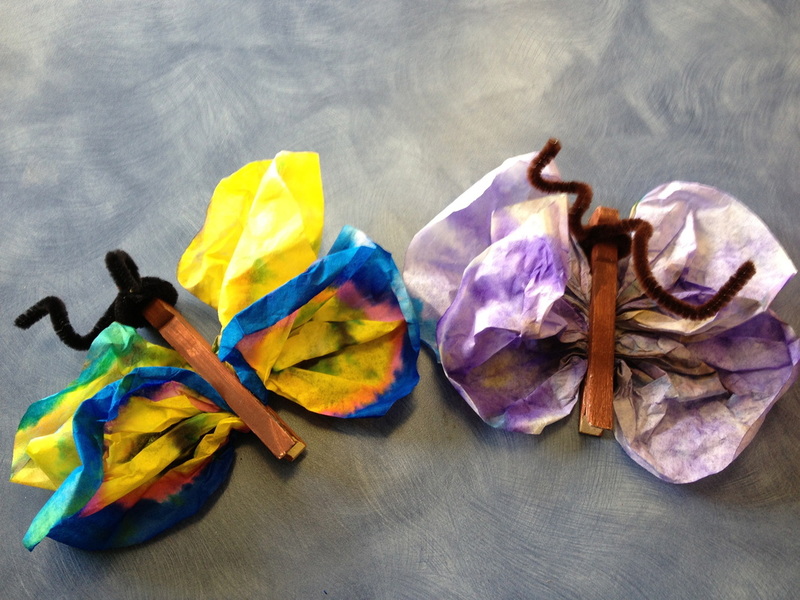 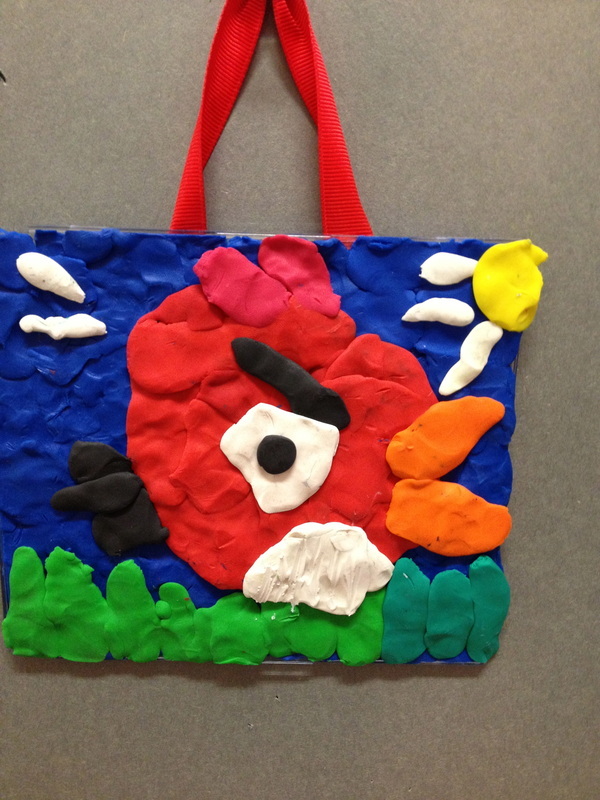 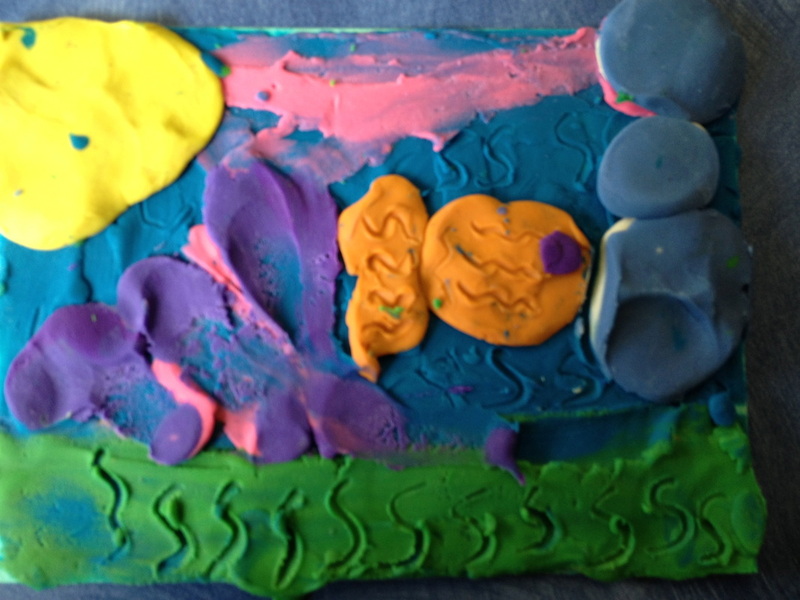 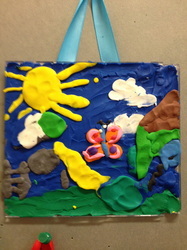 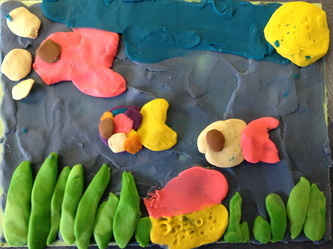 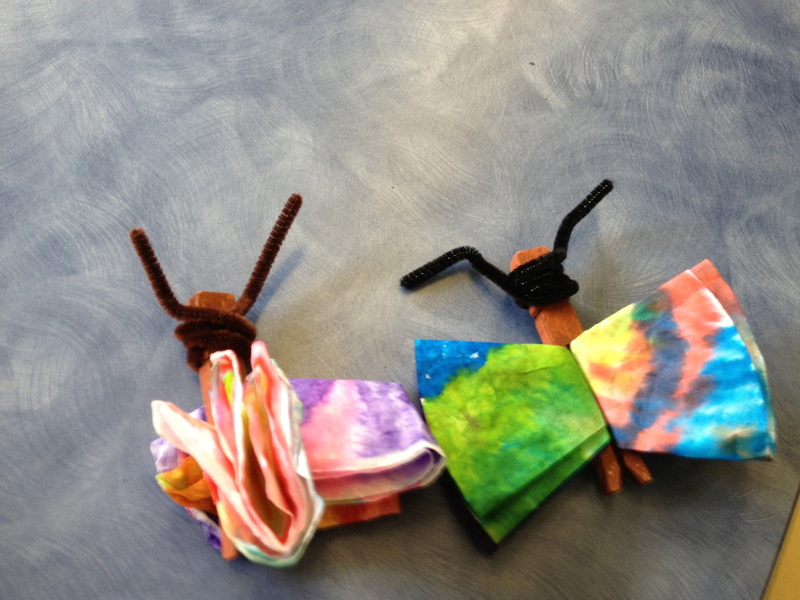 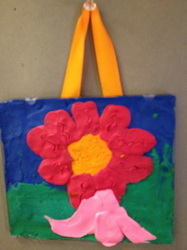 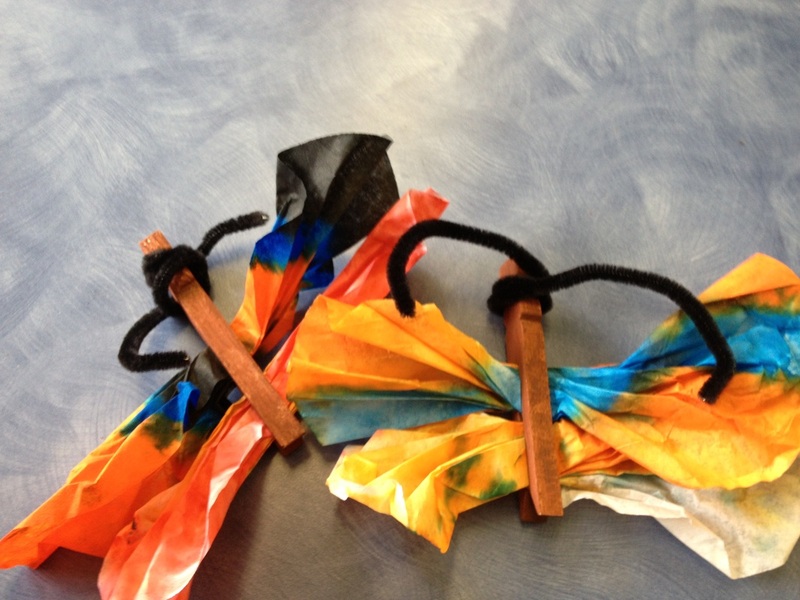 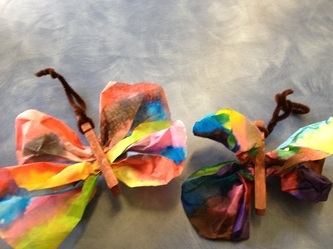 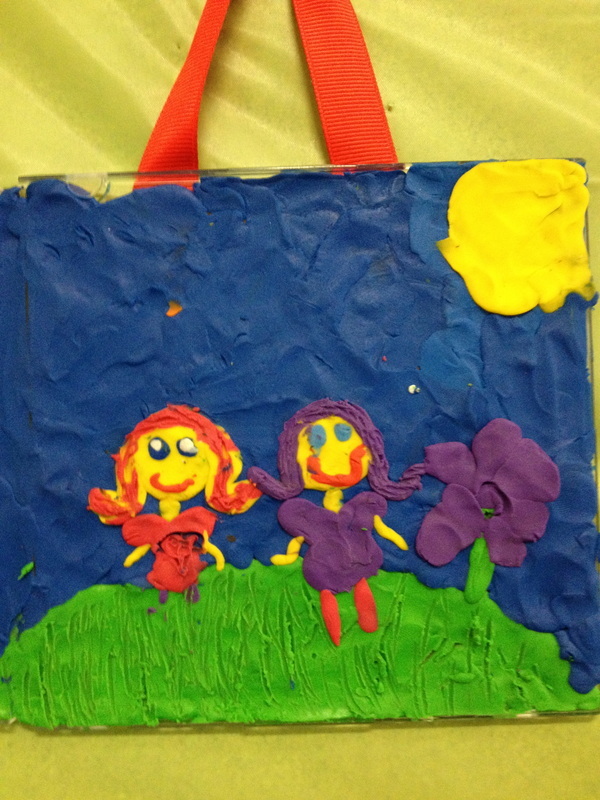 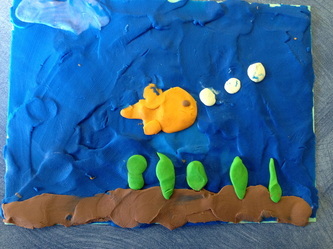 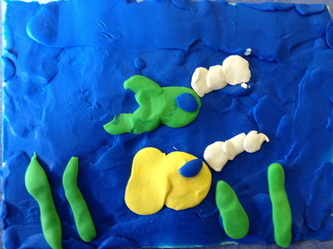 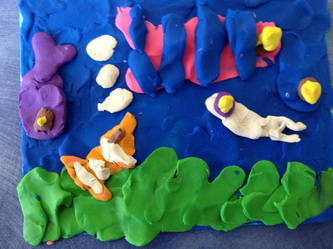 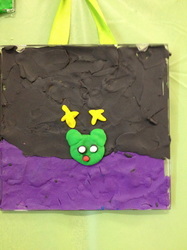 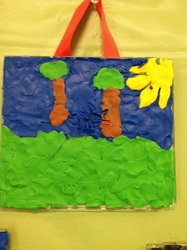 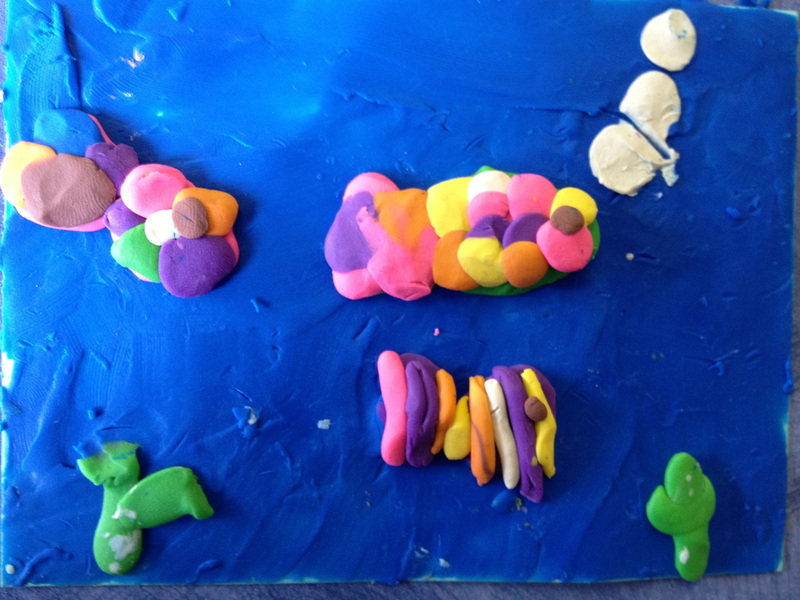 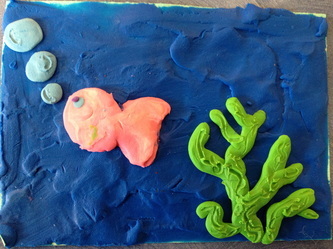 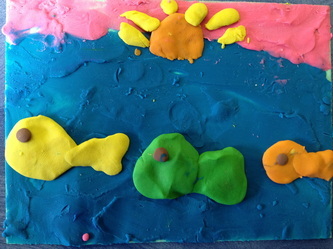 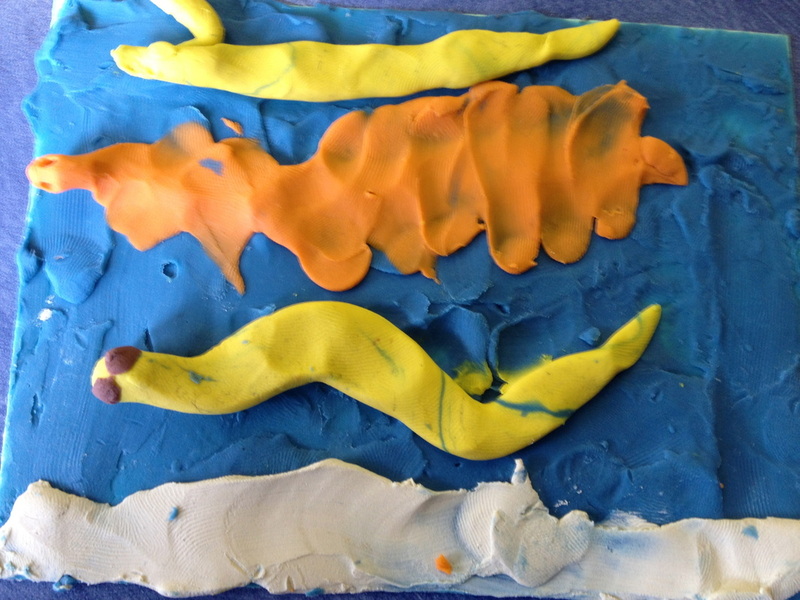 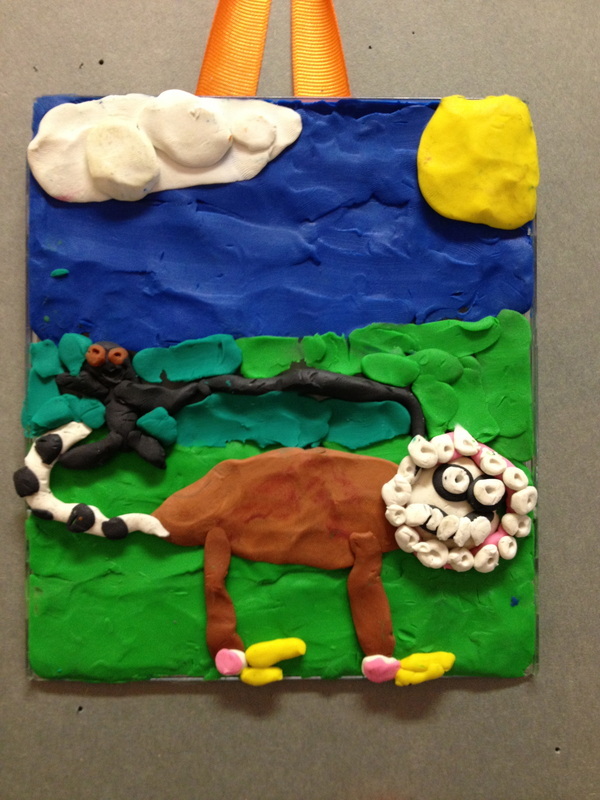 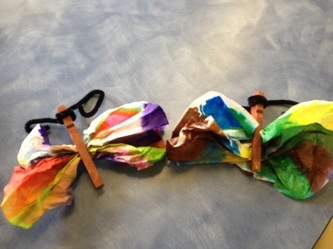 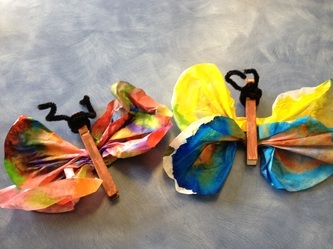 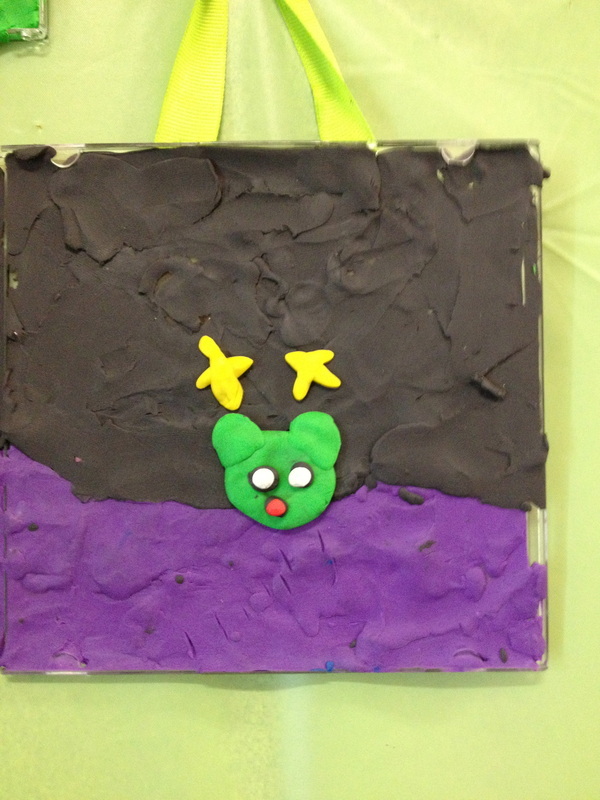 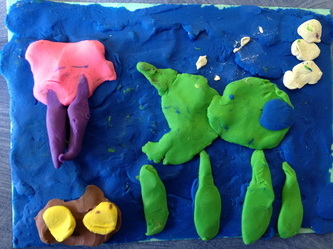 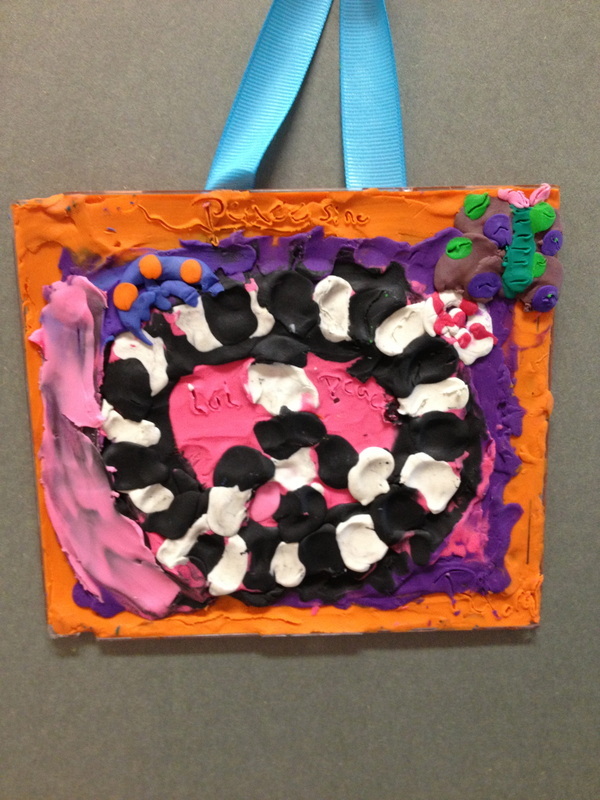 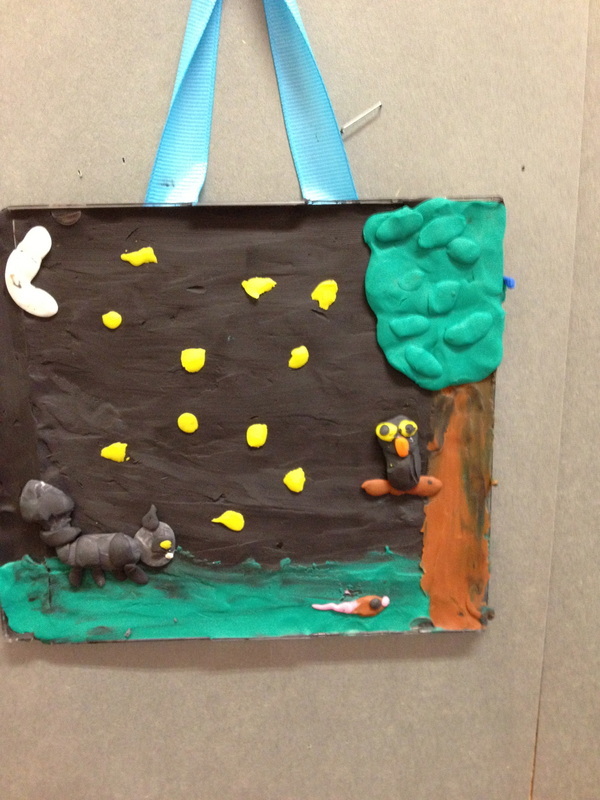 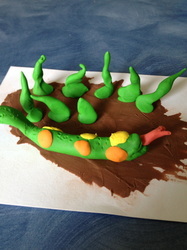 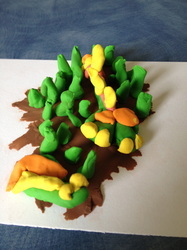 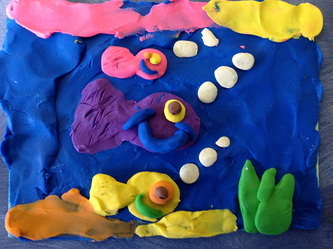 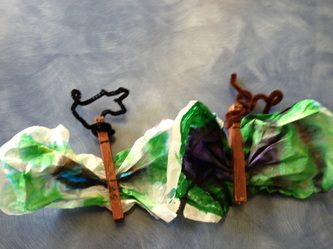 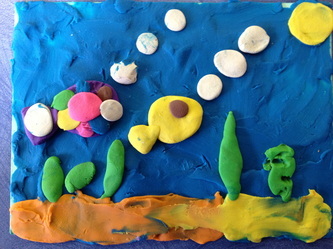 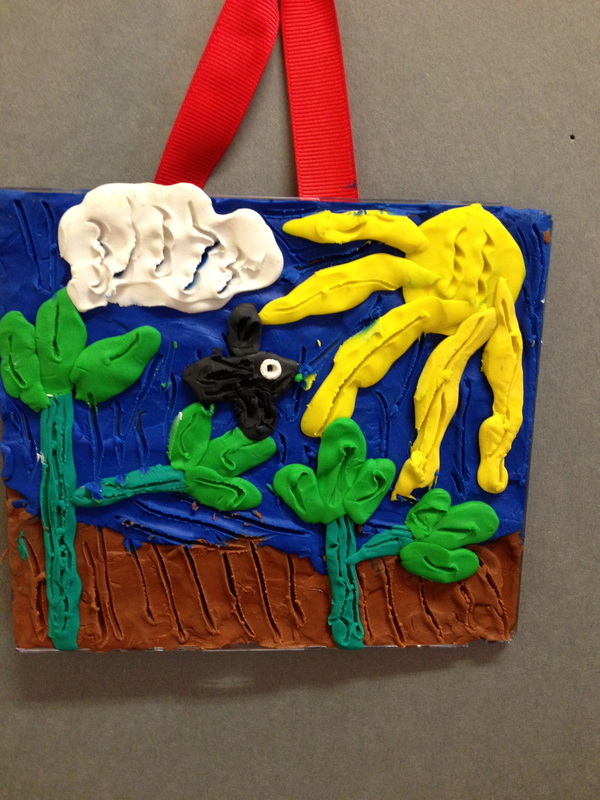 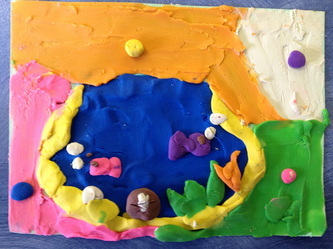 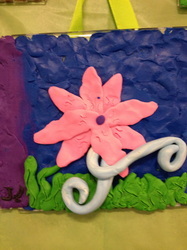 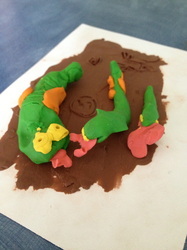 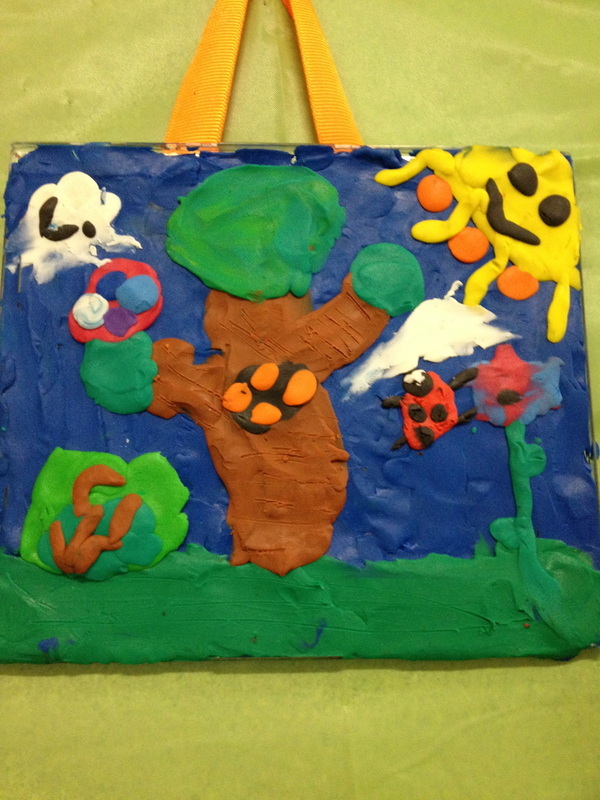 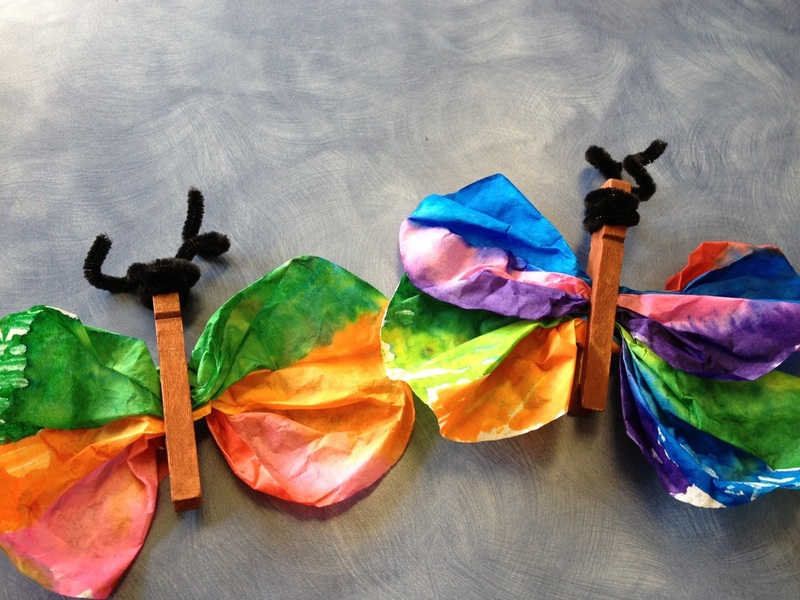 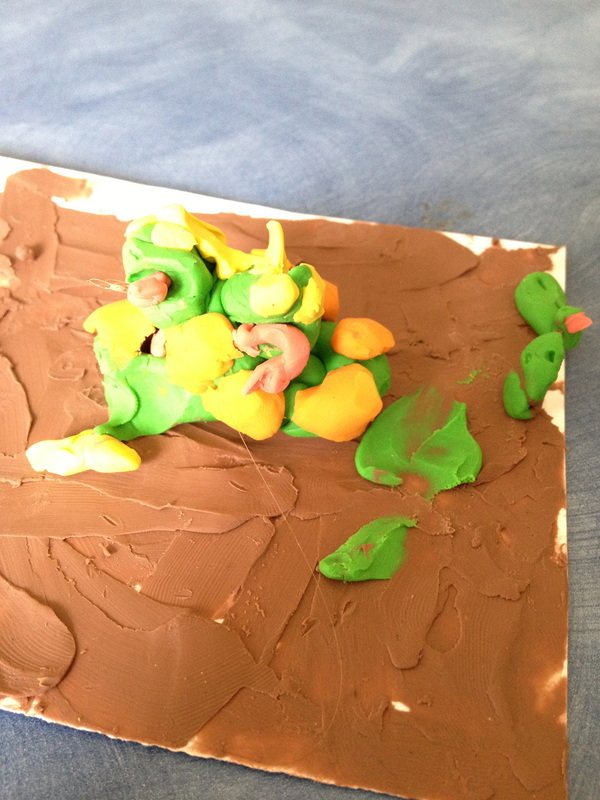 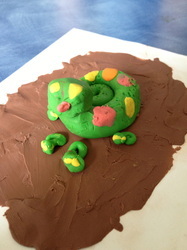 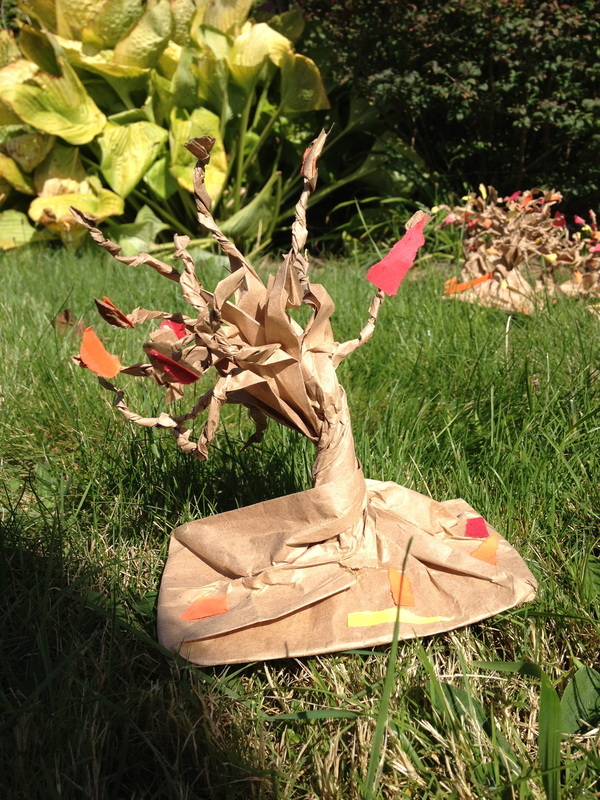 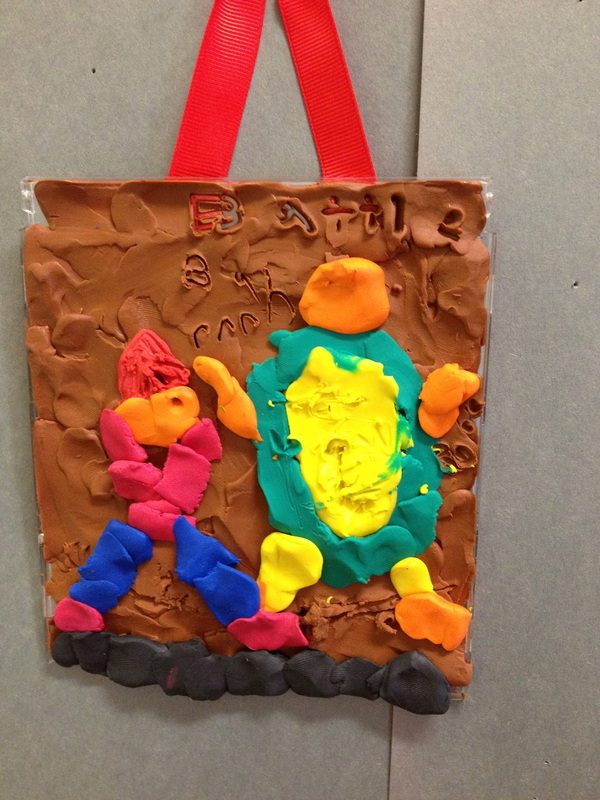 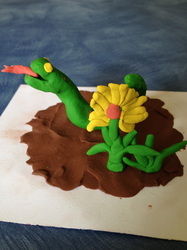 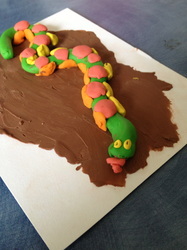 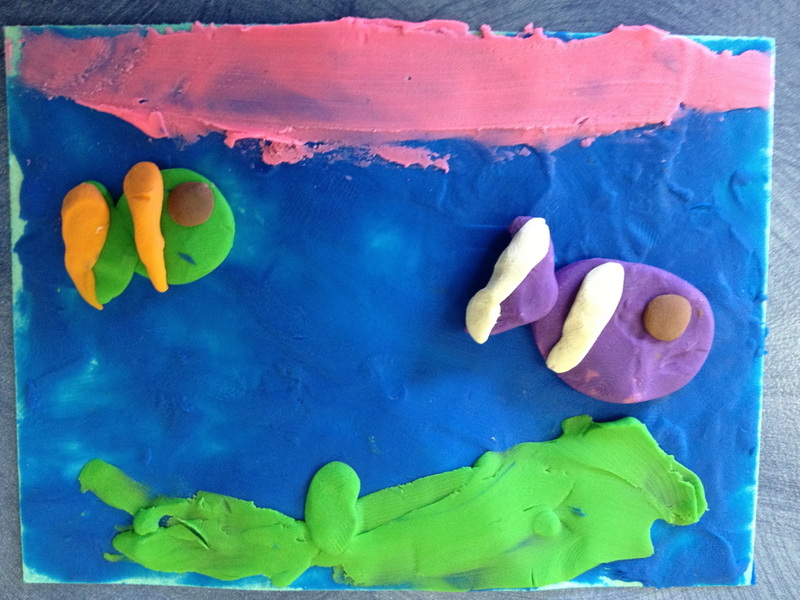 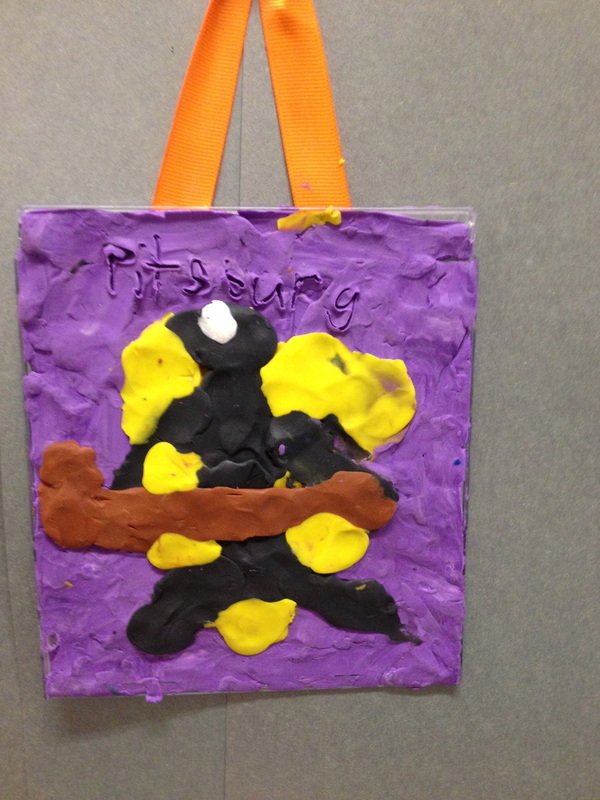 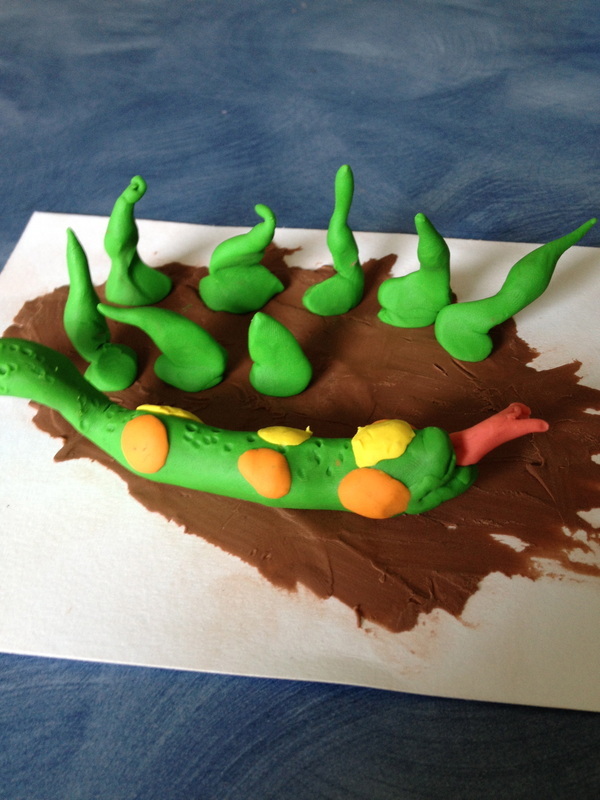 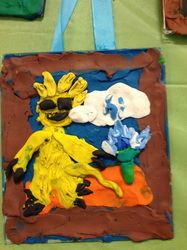 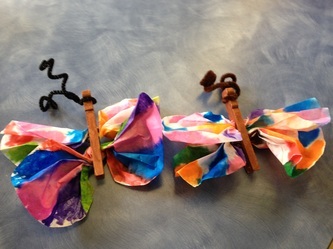 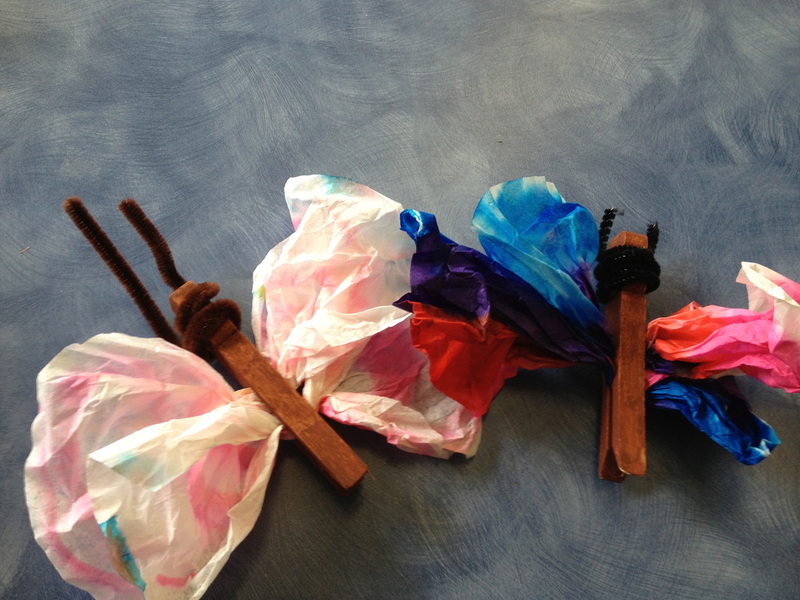 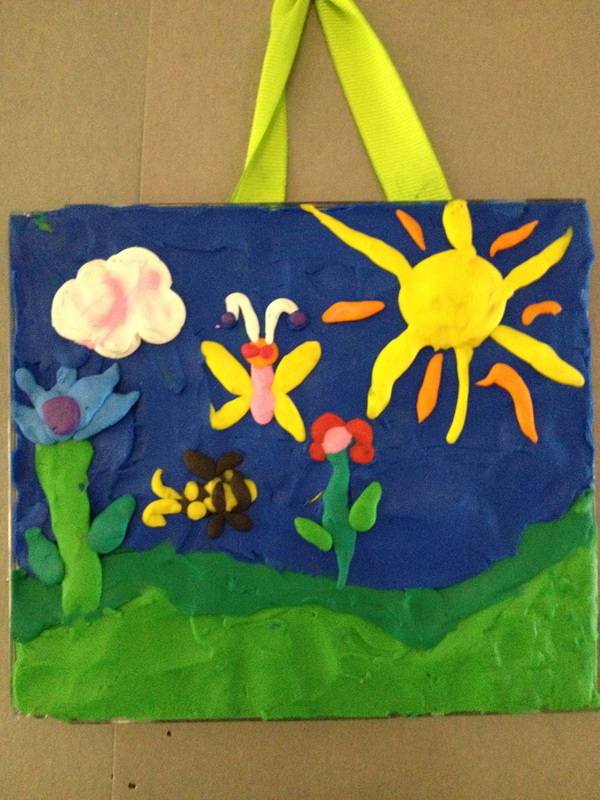 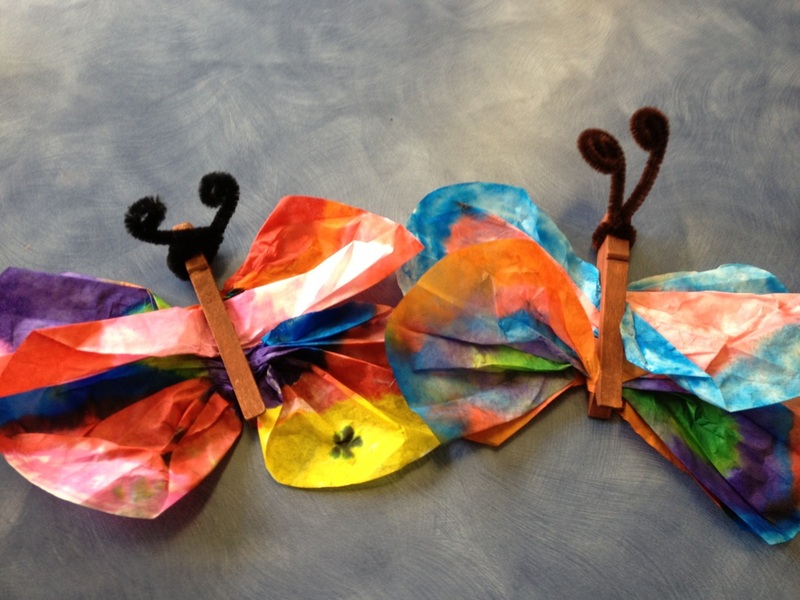 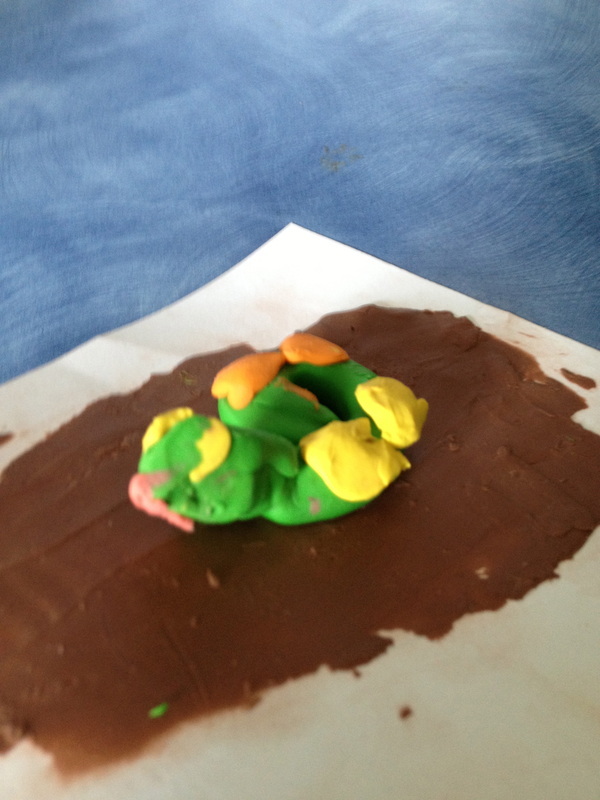 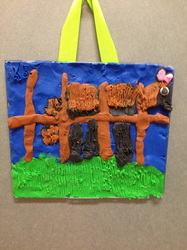 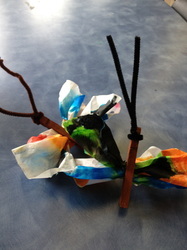 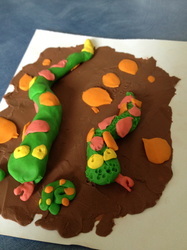 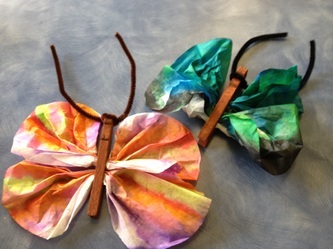 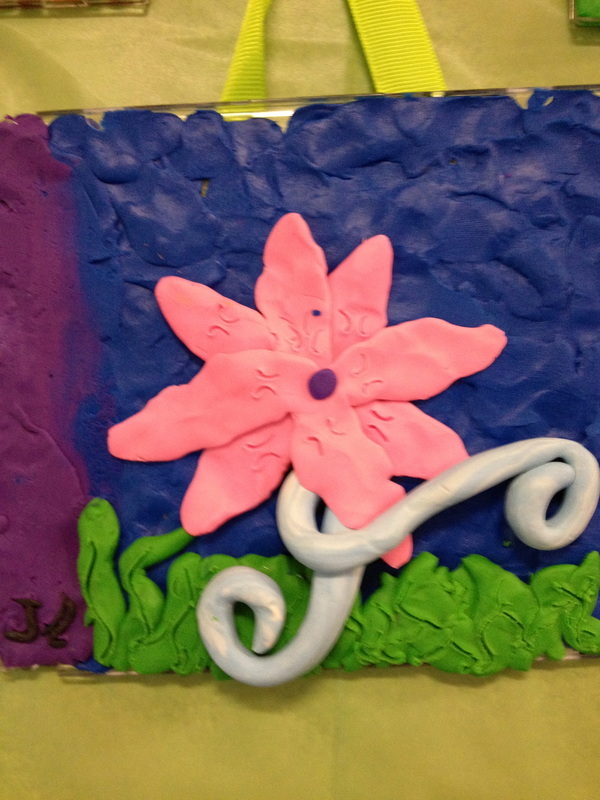 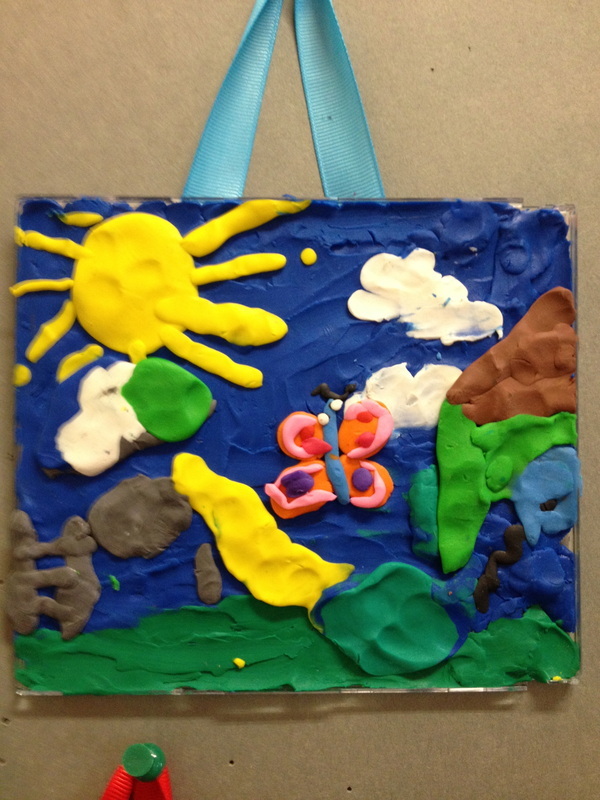 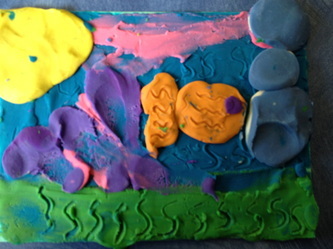 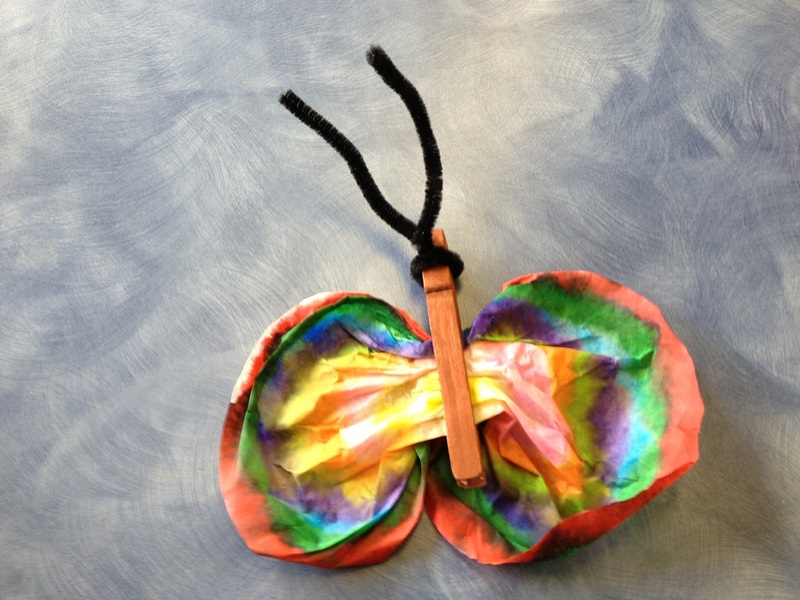 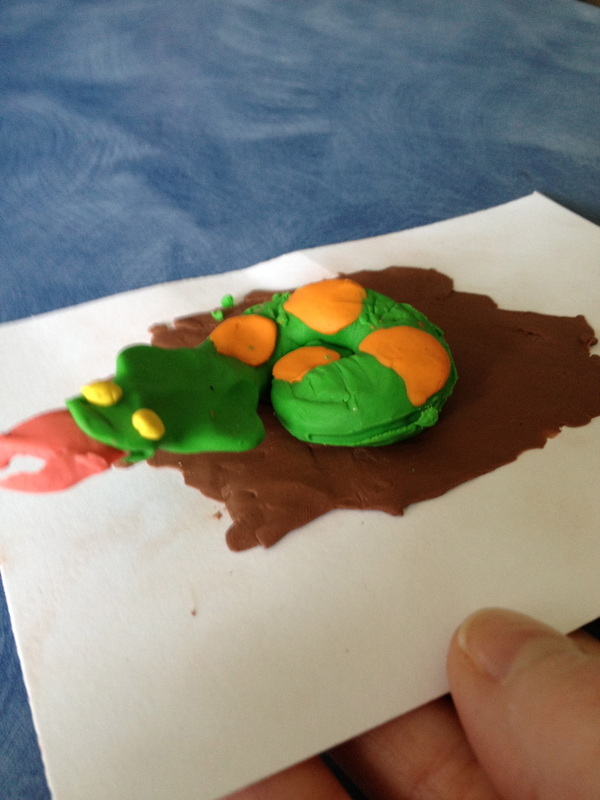 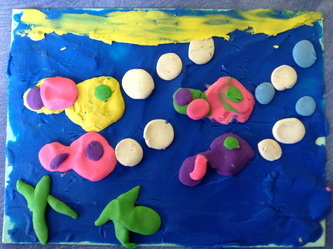 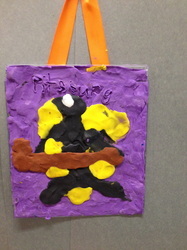 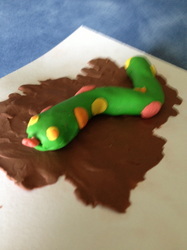 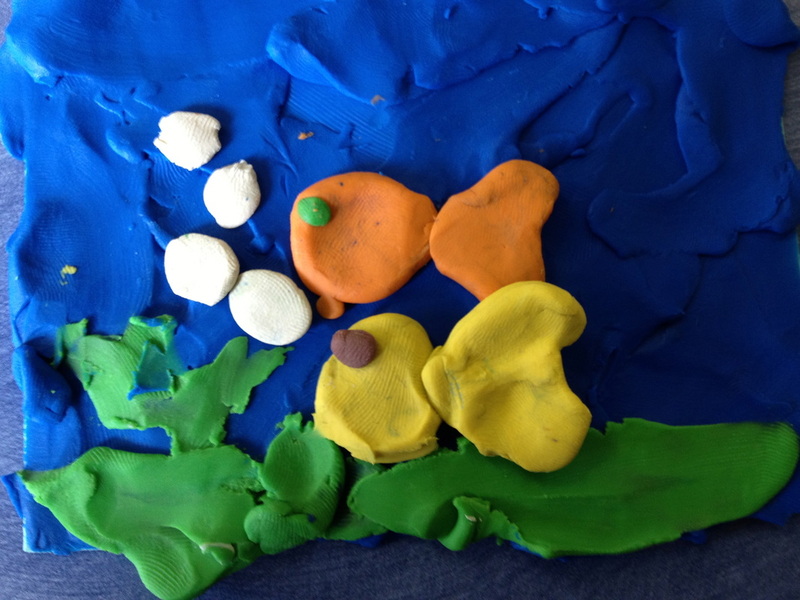 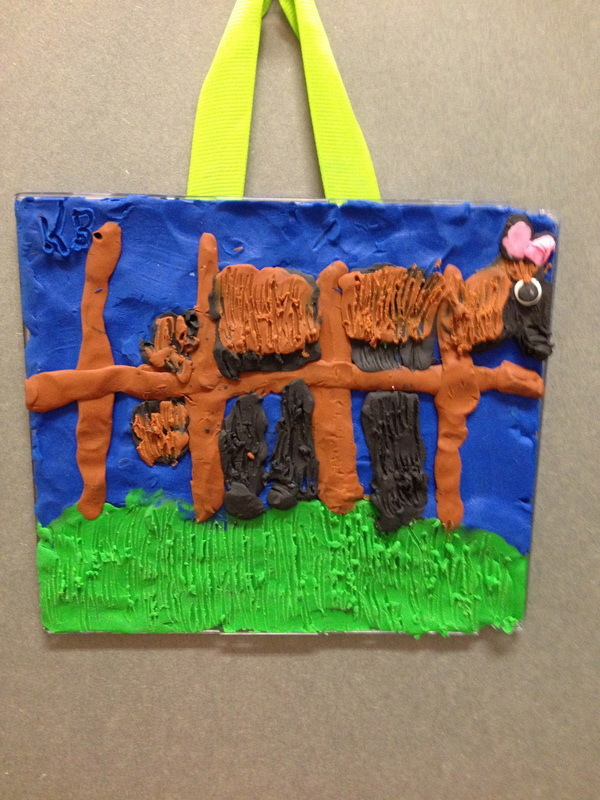 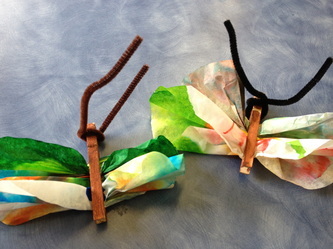 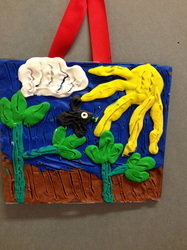 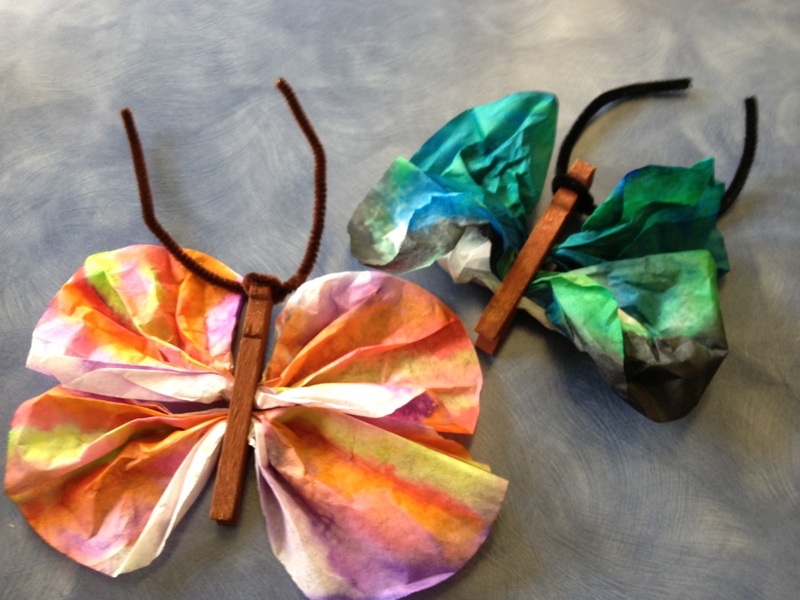 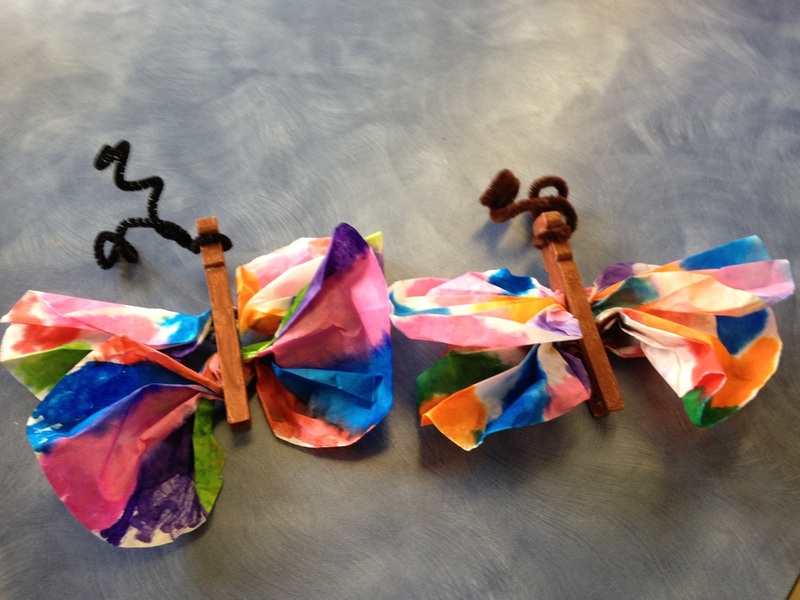 Our next few art projects will be using plasticine. We read the book, The Subway Mouse, by Barbara Reid. 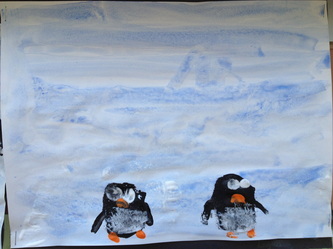 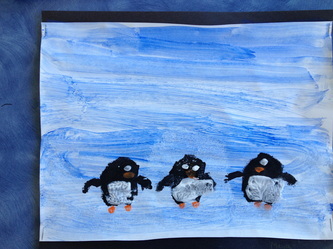 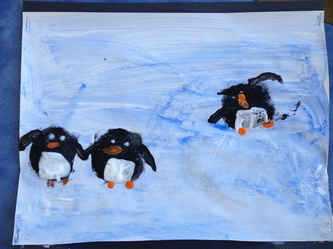 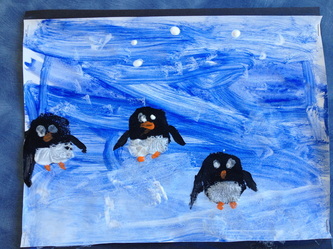 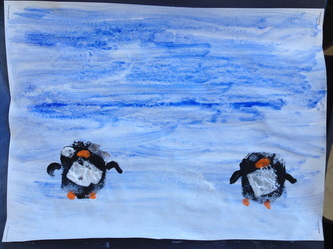 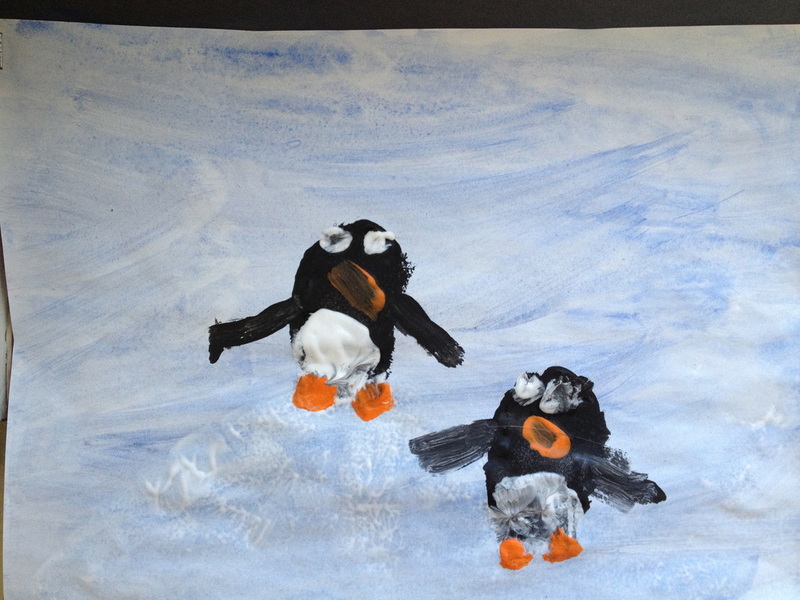 All of her illustrations use plasticine. 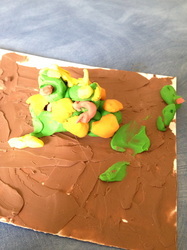 We practiced techniques - spreading and modeling. The students used pencils, black markers and pastels to create these vibrant self portraits. 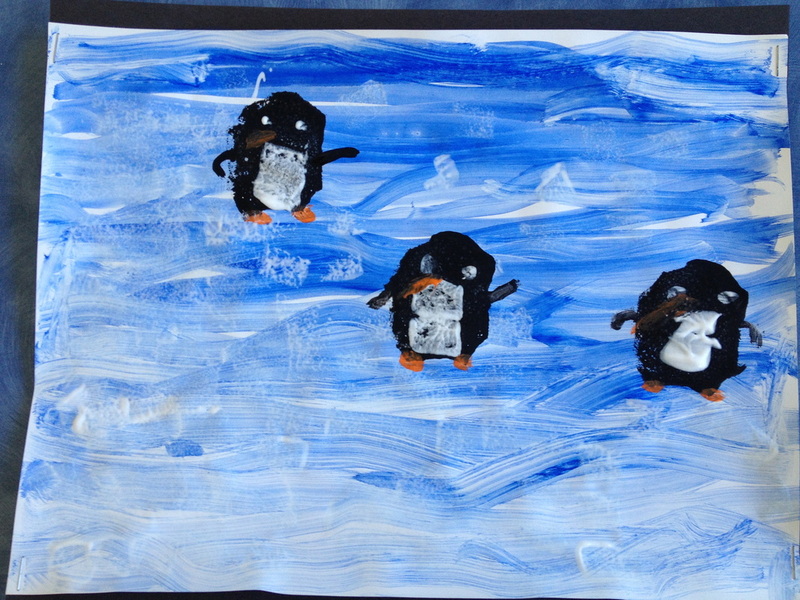 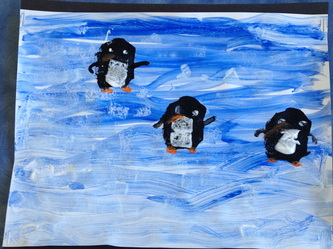 Well Done Grade 2! 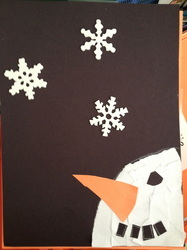 We read the book Snowmen at Night by Caralyn Buehner. 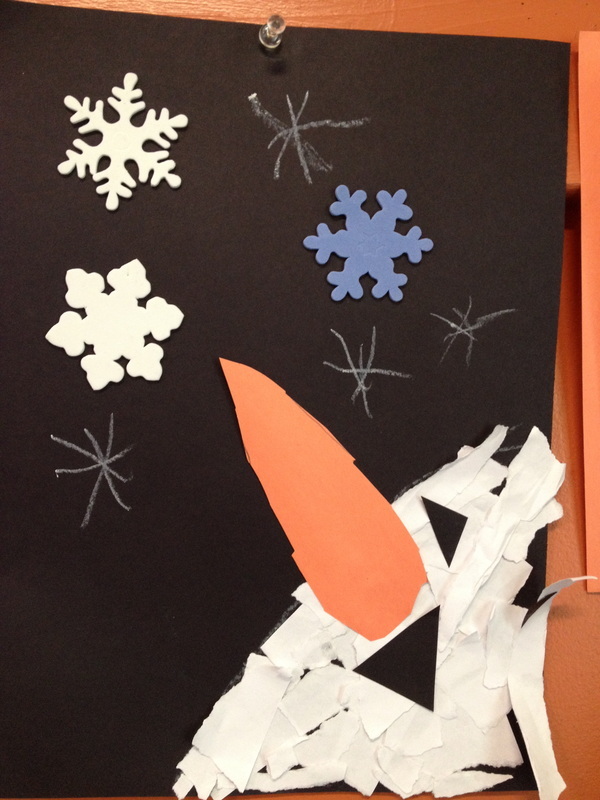 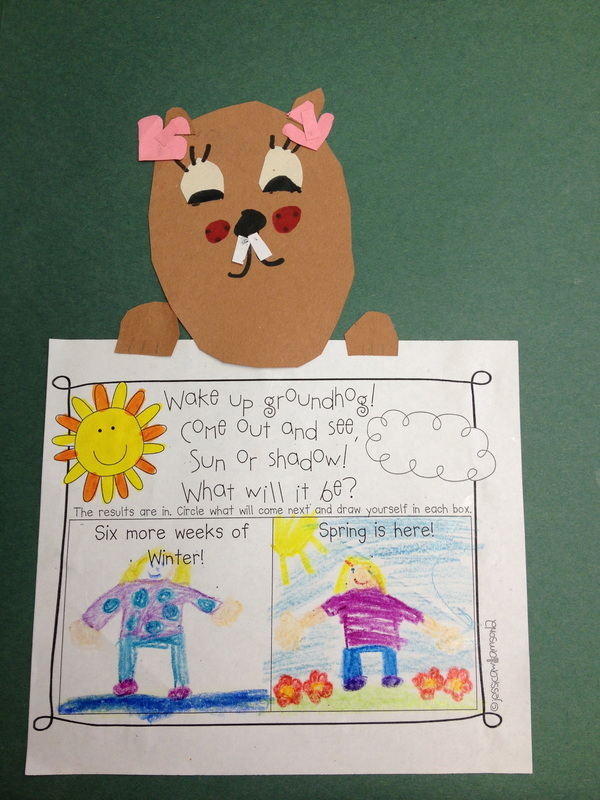 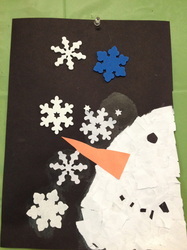 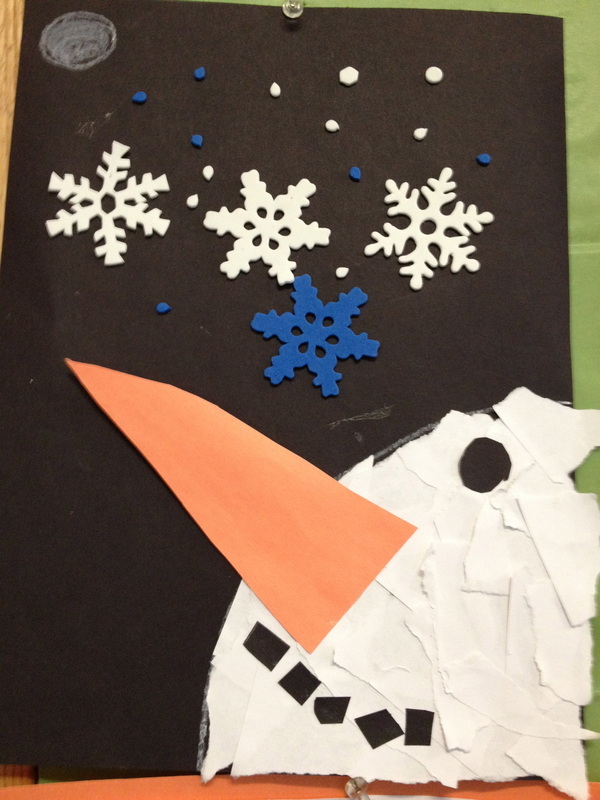 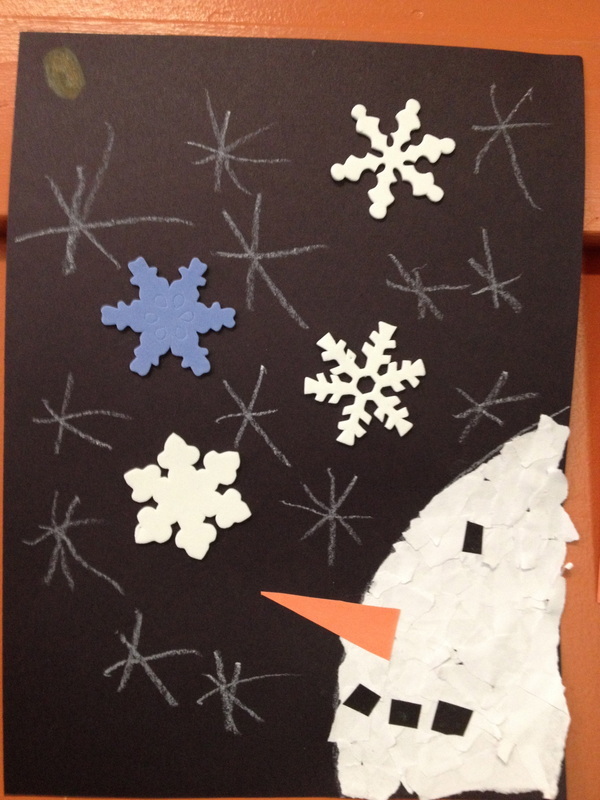 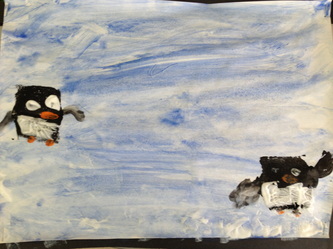 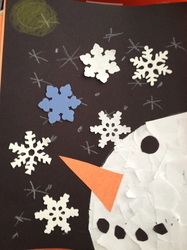 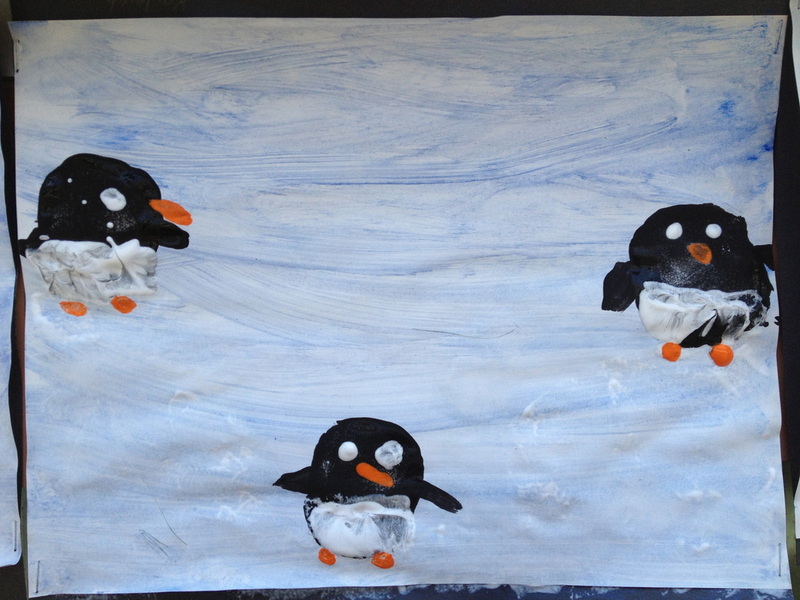 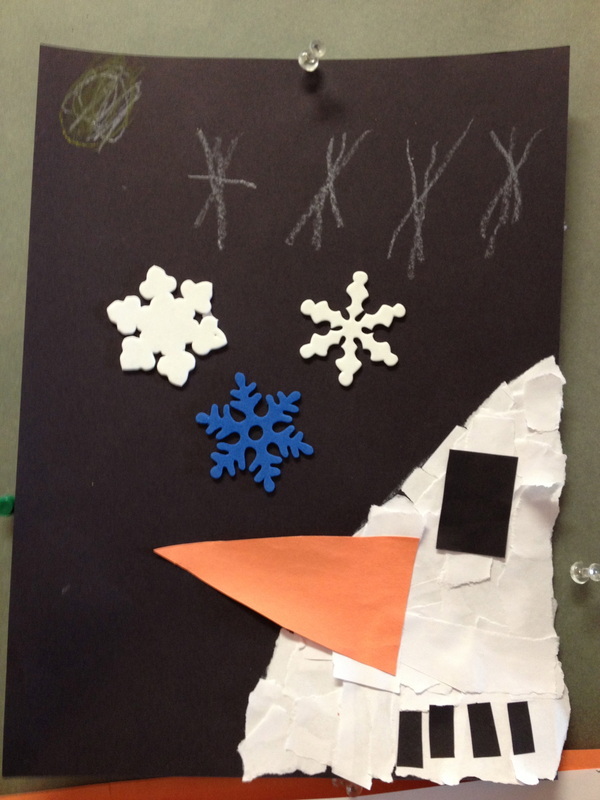 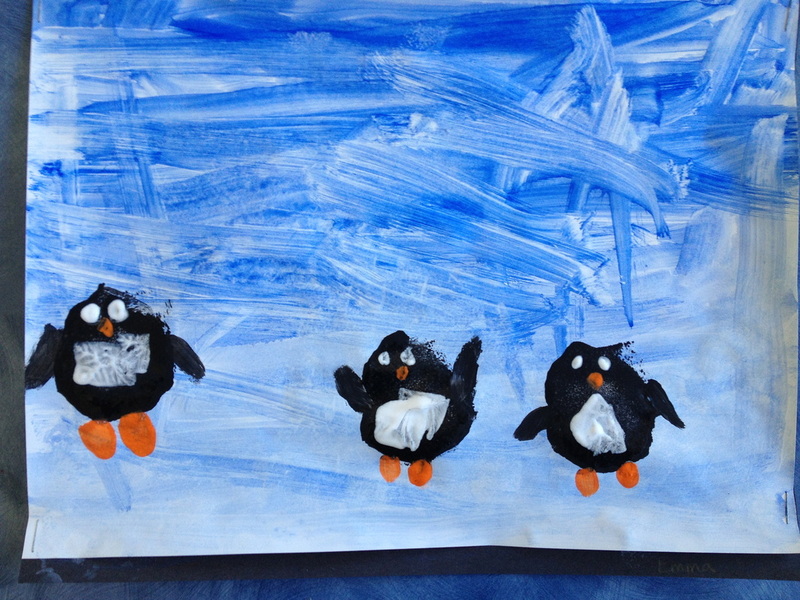 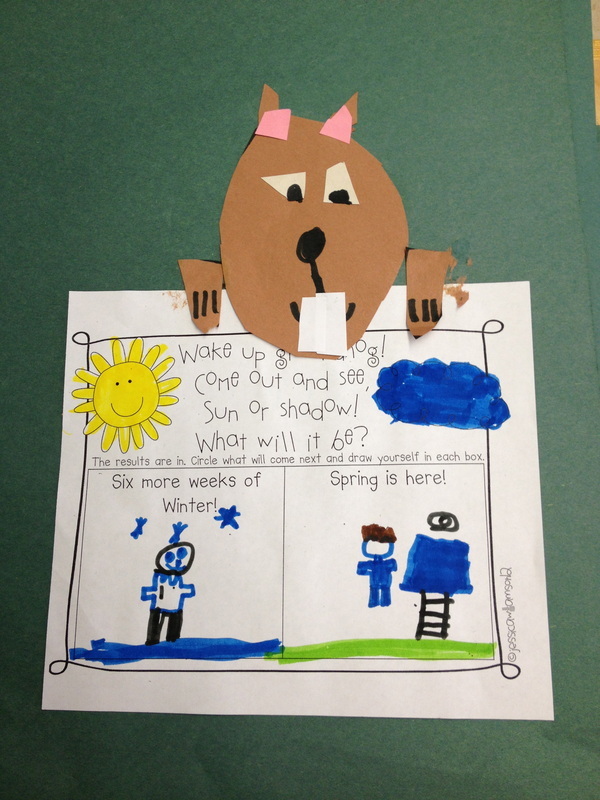 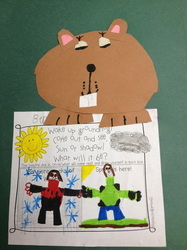 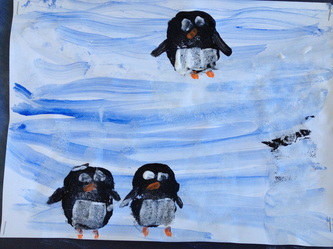 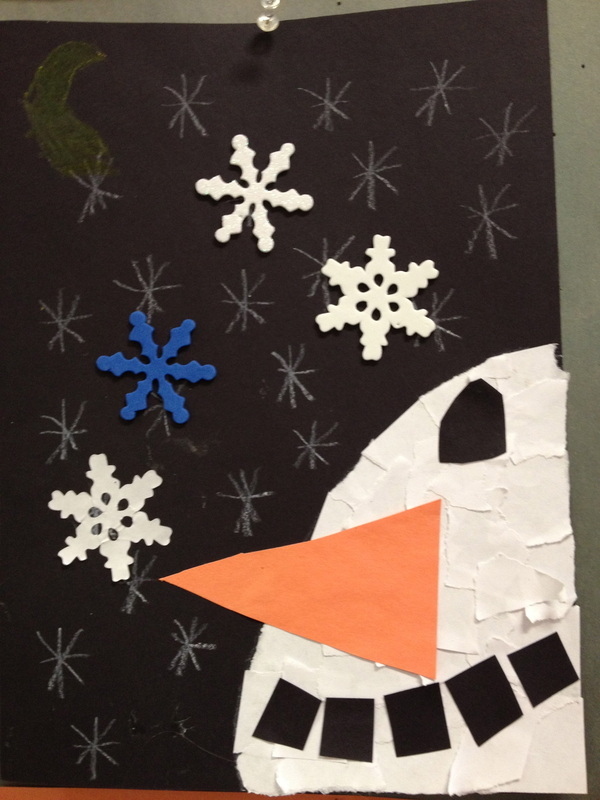 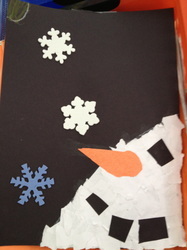 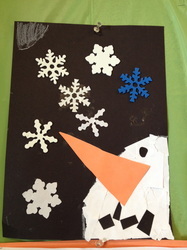 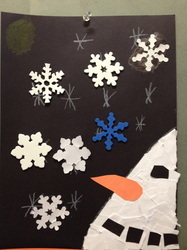 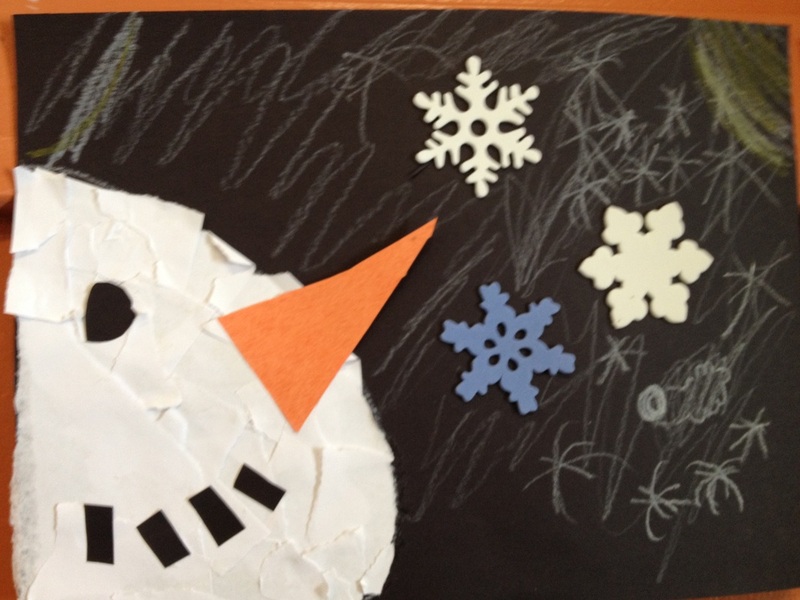 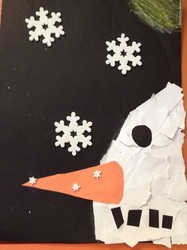 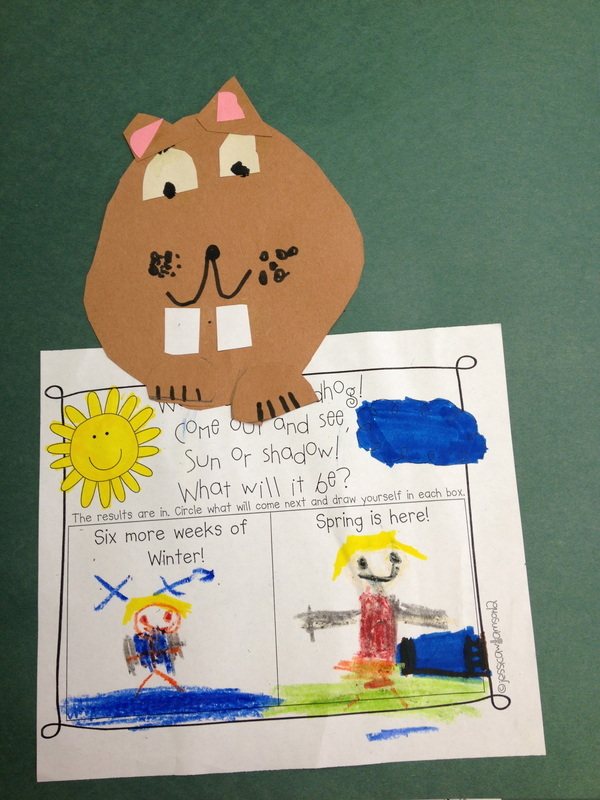 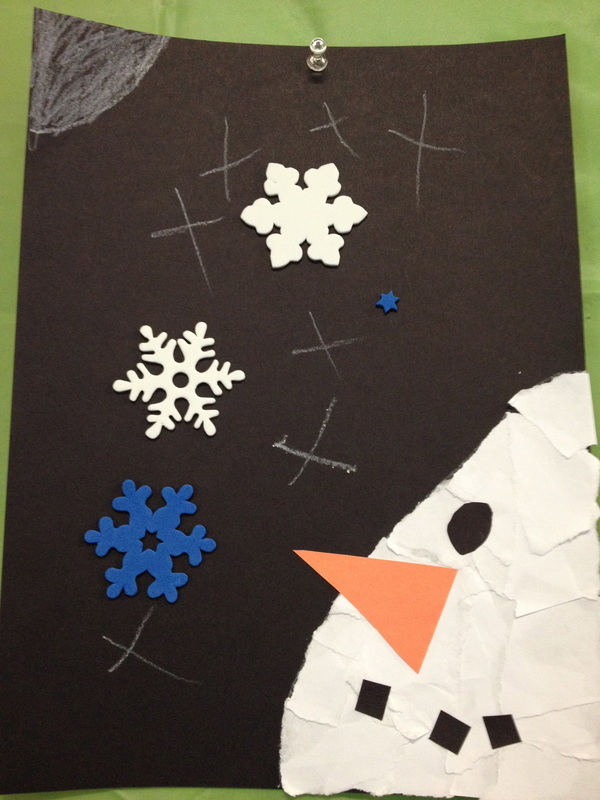 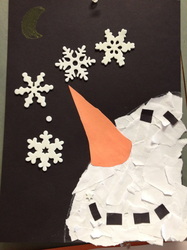 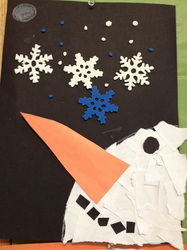 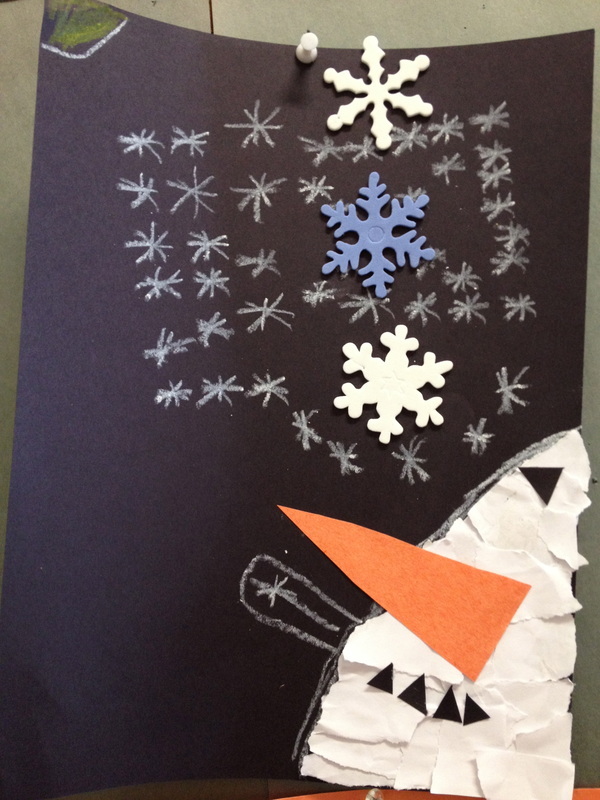 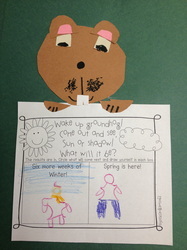 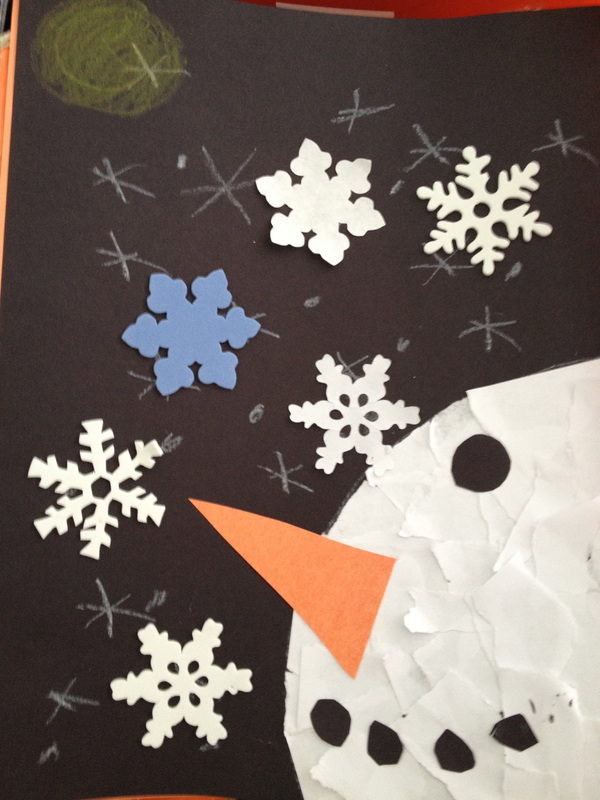 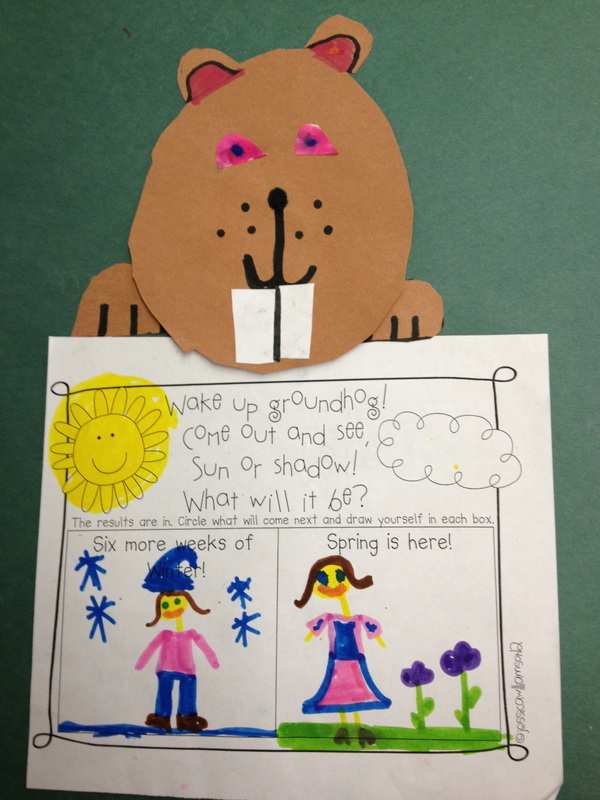 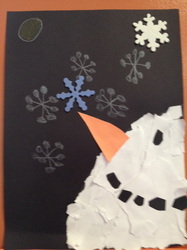 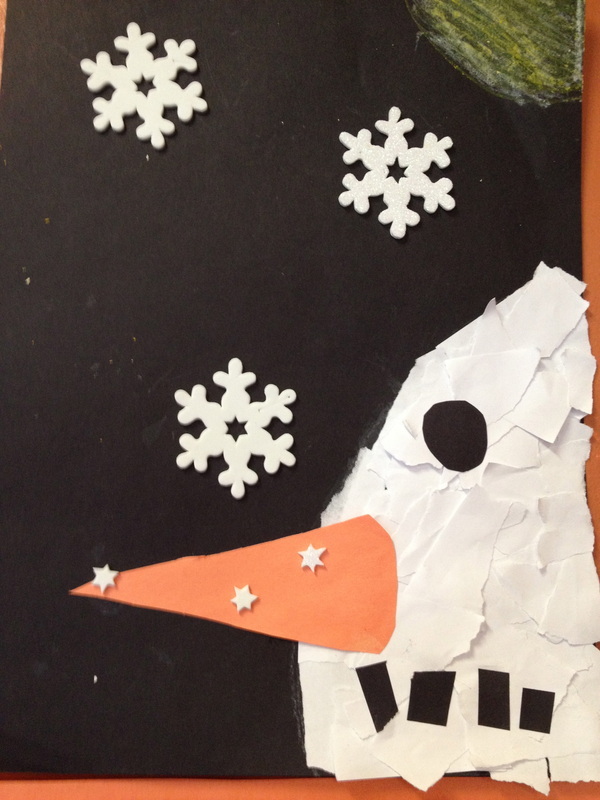 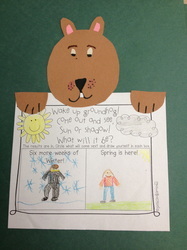 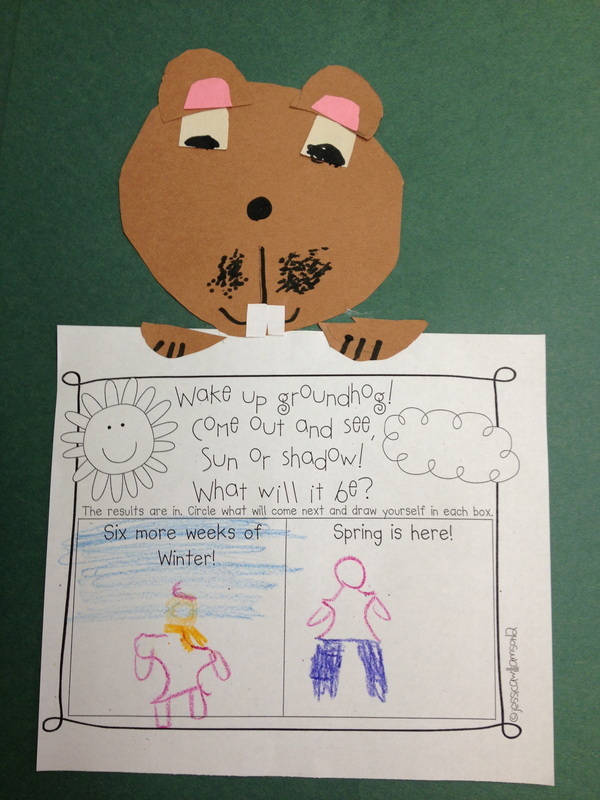 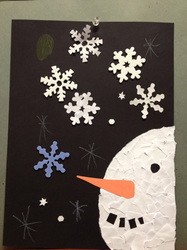 We wrote stories about what we would do if we were Snowmen at Night and tore up bits of paper to create our snowmen. 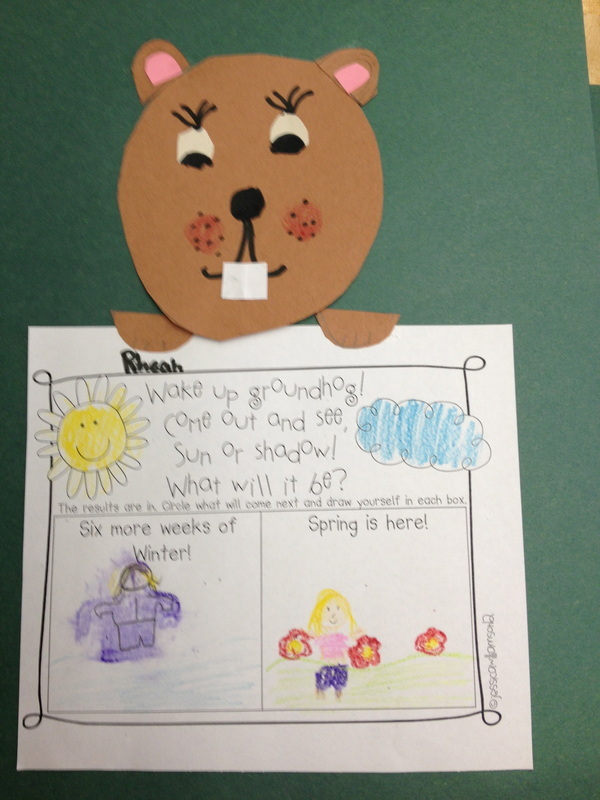 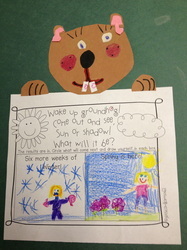 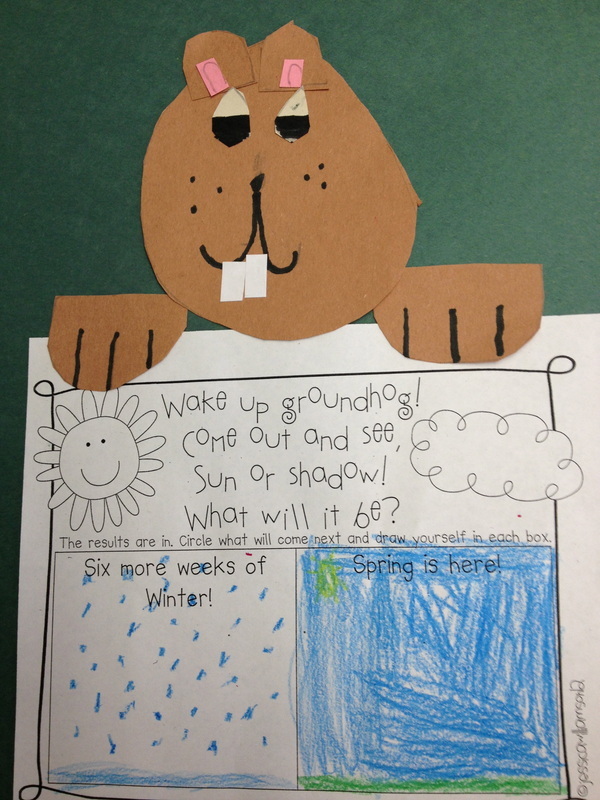 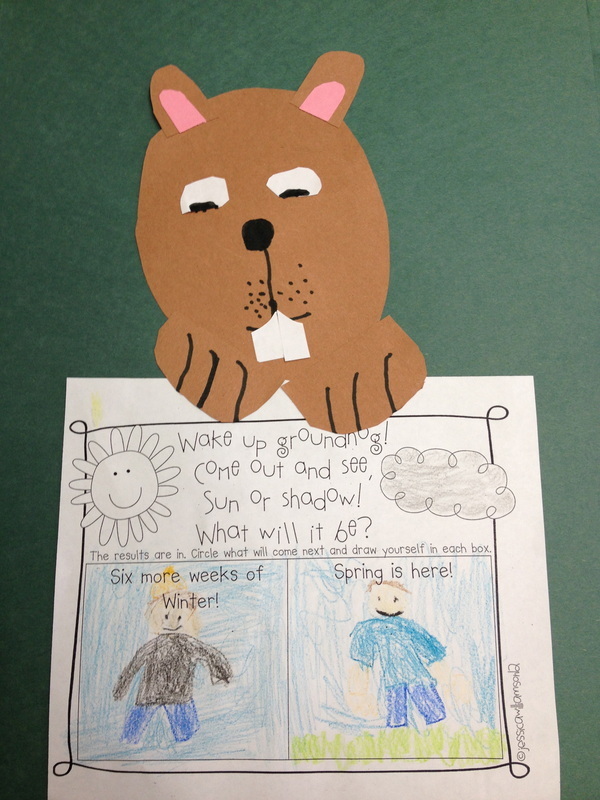 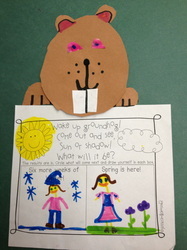 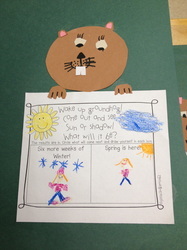 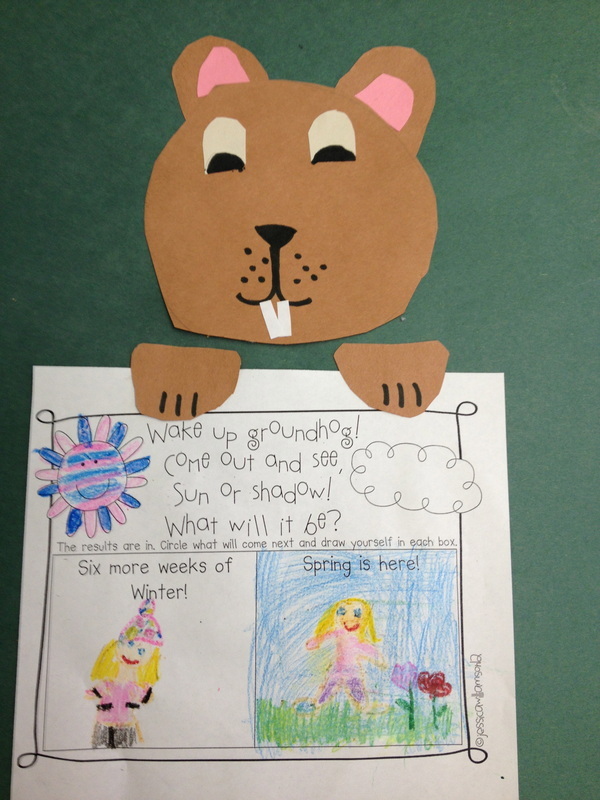 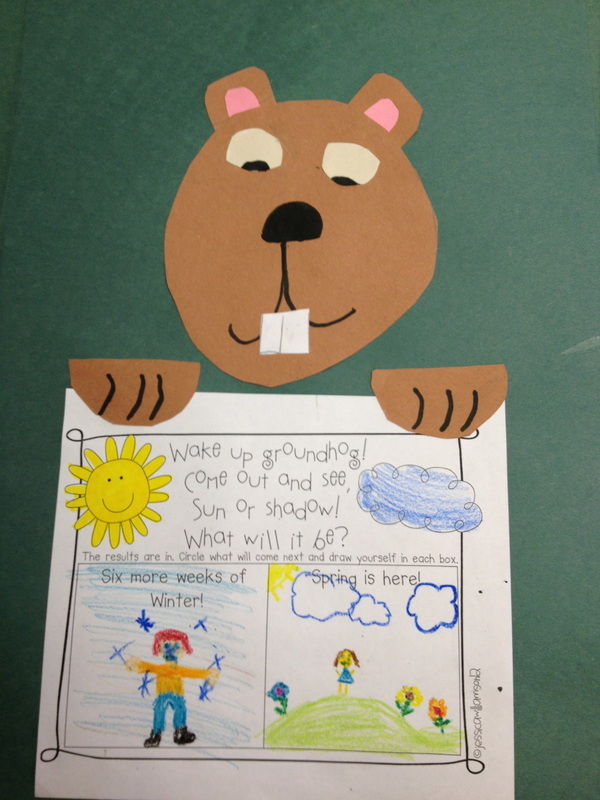 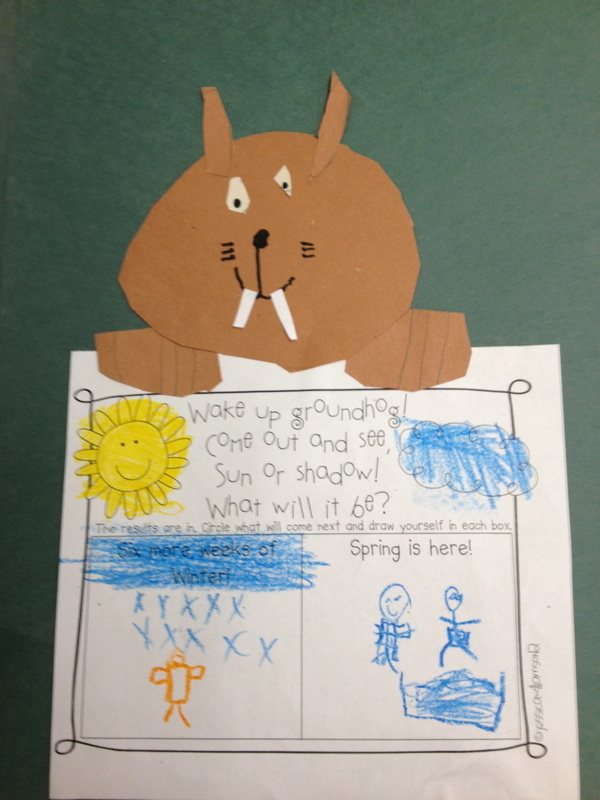 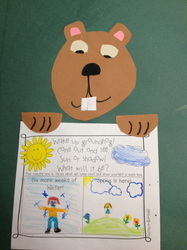 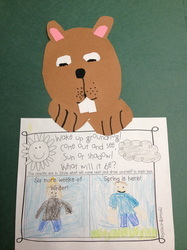 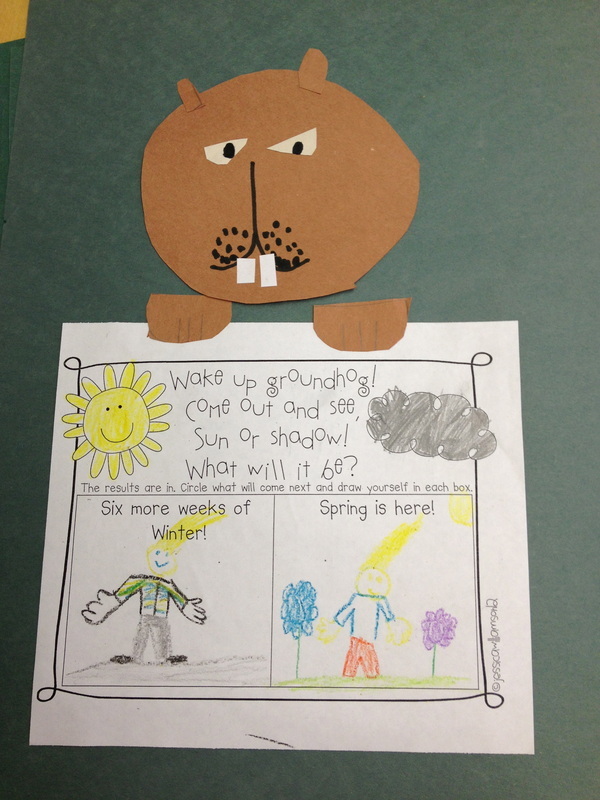 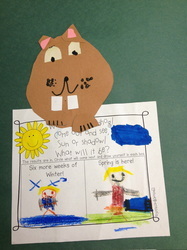 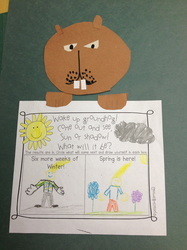 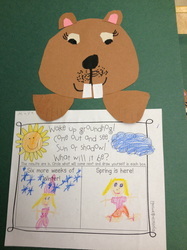 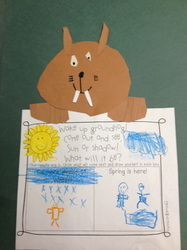 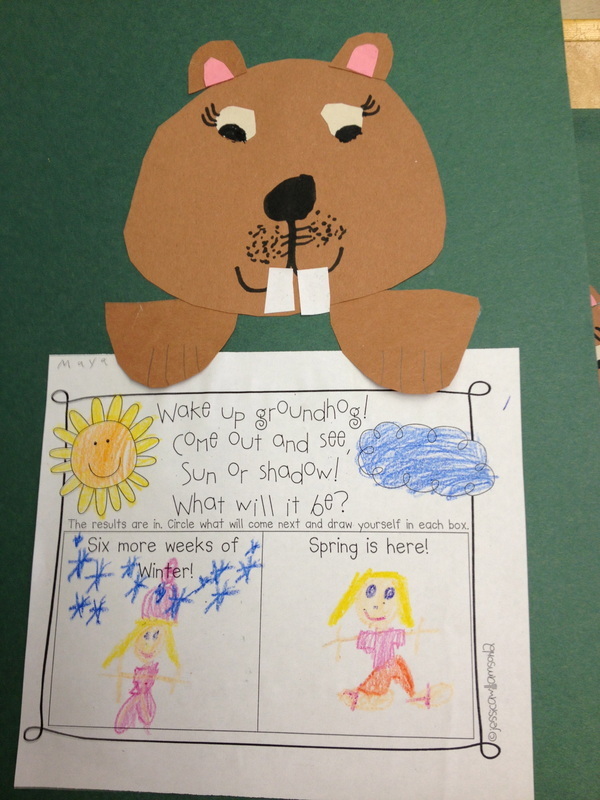 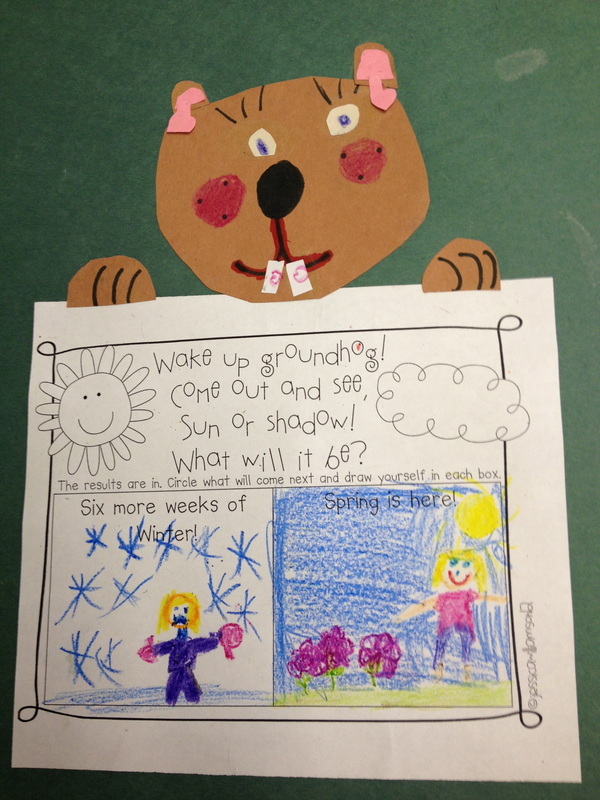 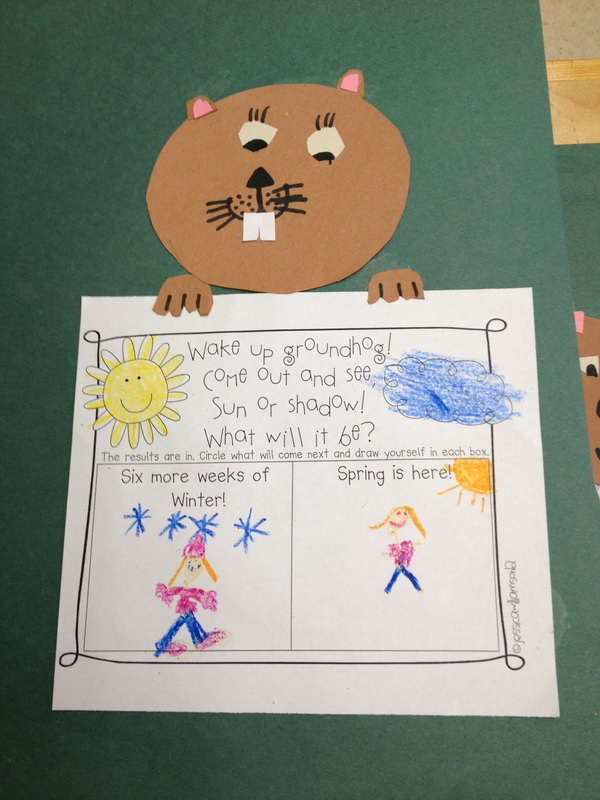 The groundhog saw his shadow. 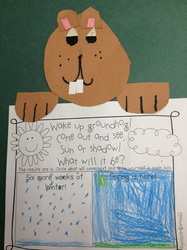 It looks like we have another 6 weeks to go! 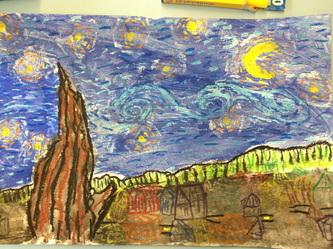 Kandinsky (1866 – 1944) was a Russian painter and art theorist. 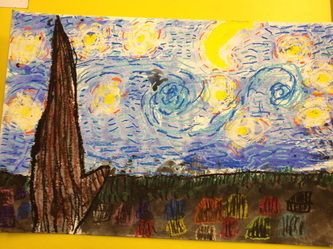 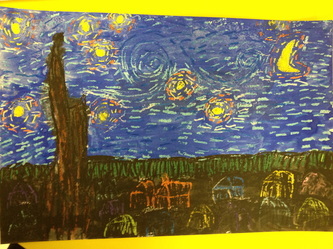 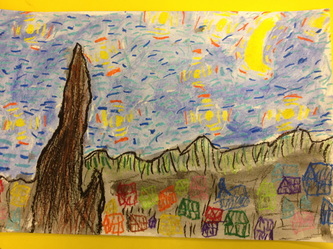 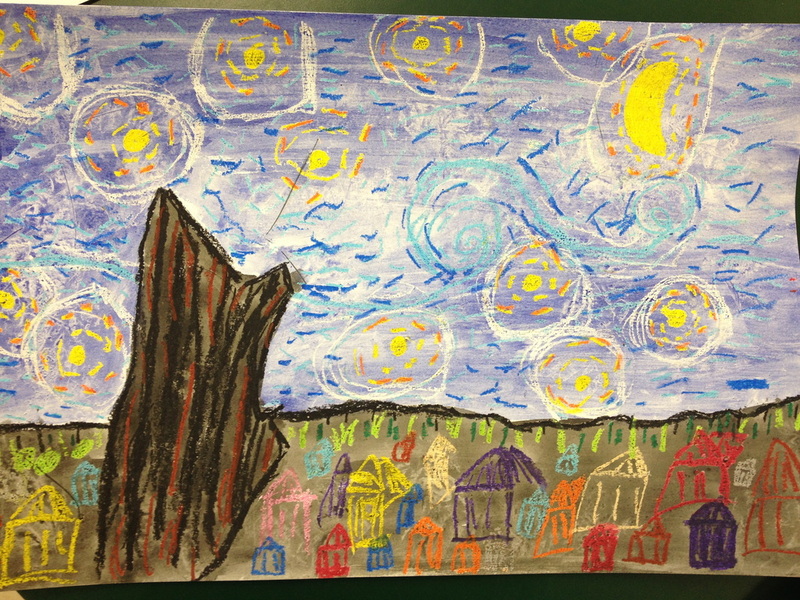 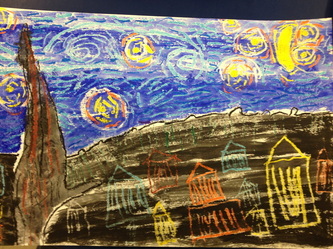 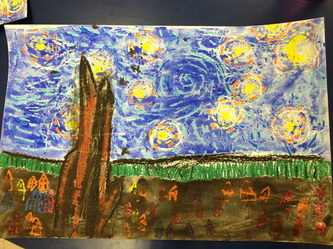 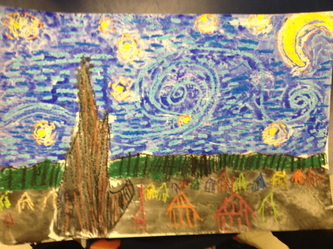 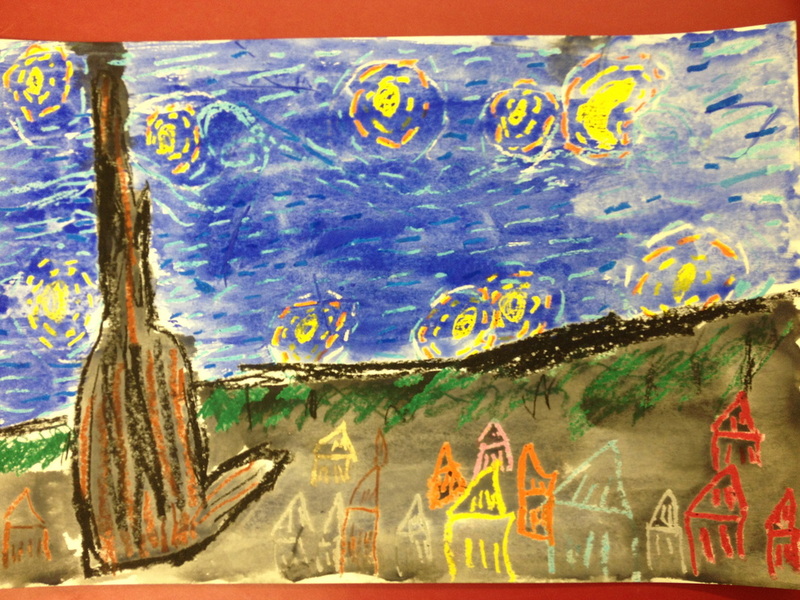 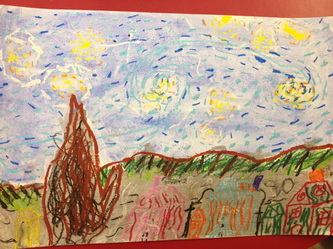 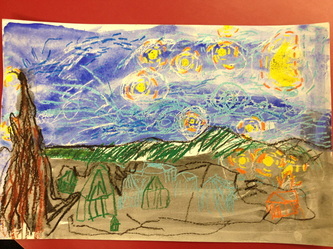 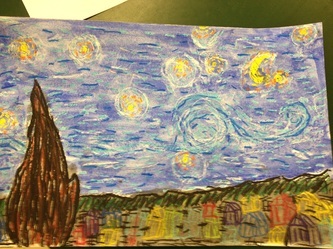 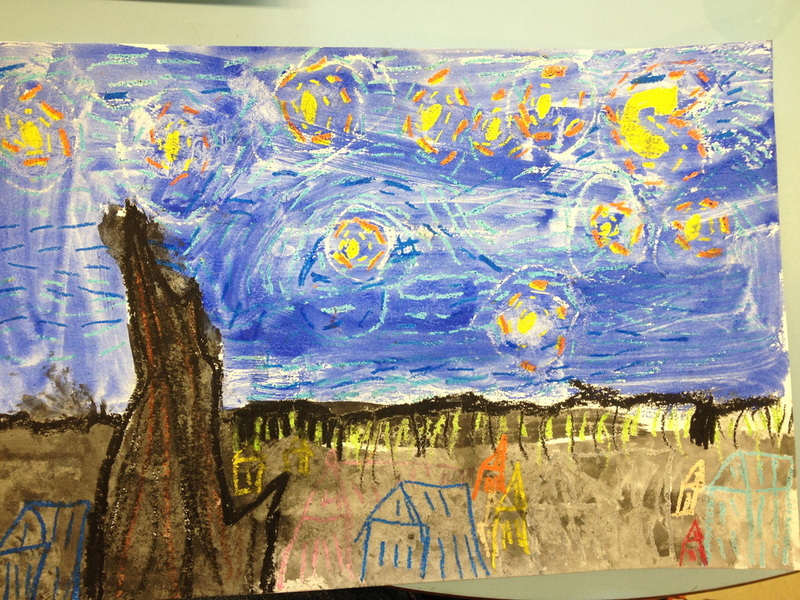 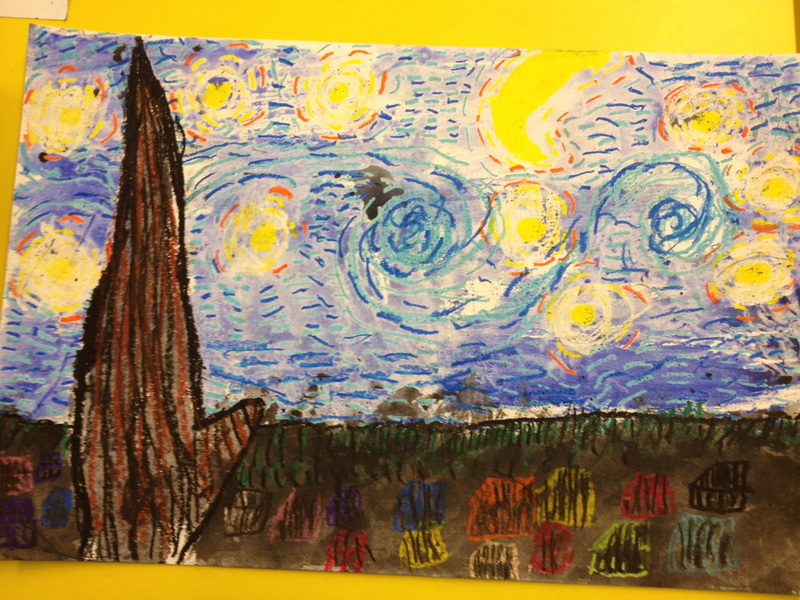 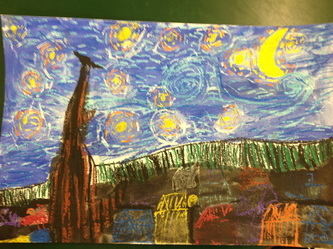 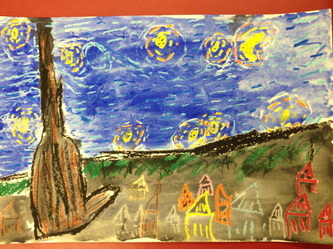 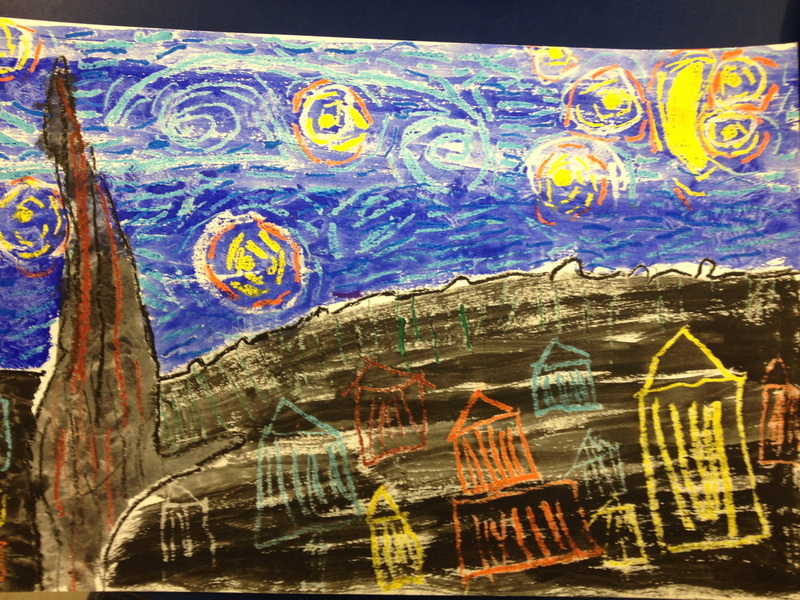 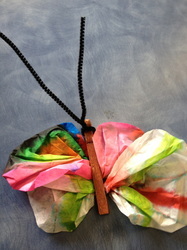 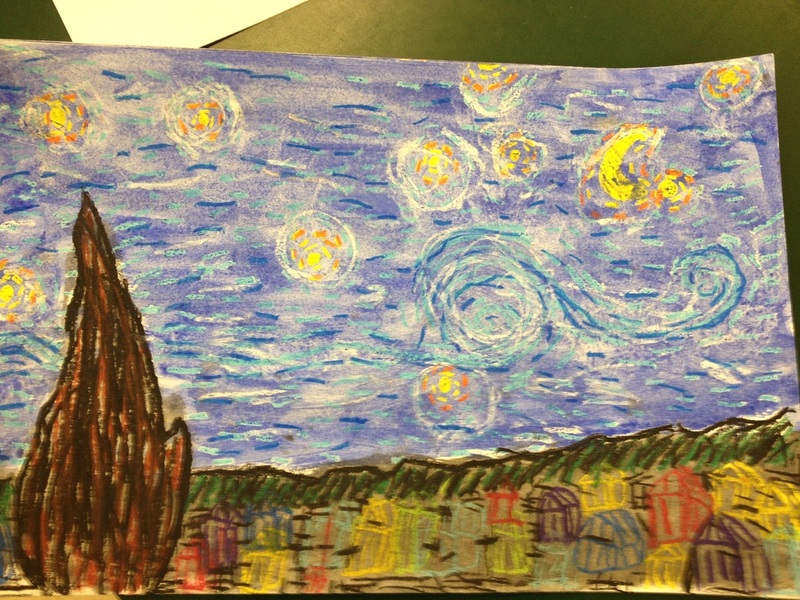 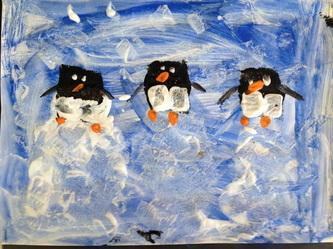 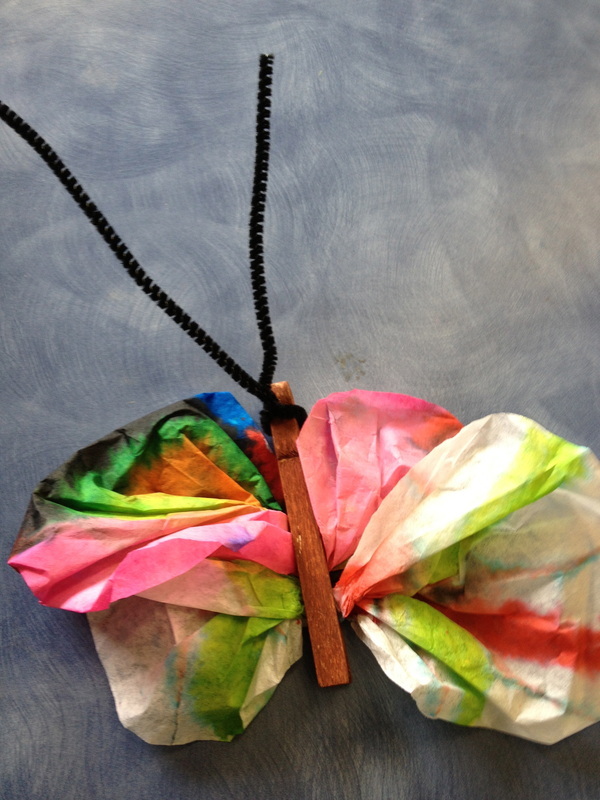 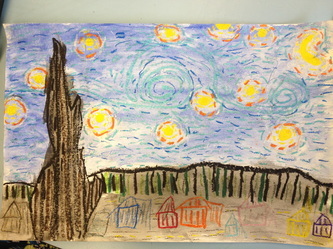 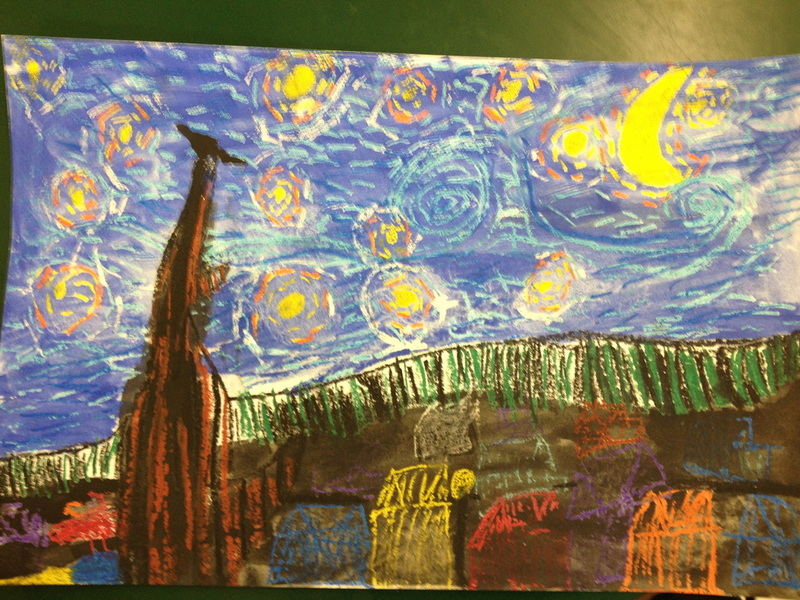 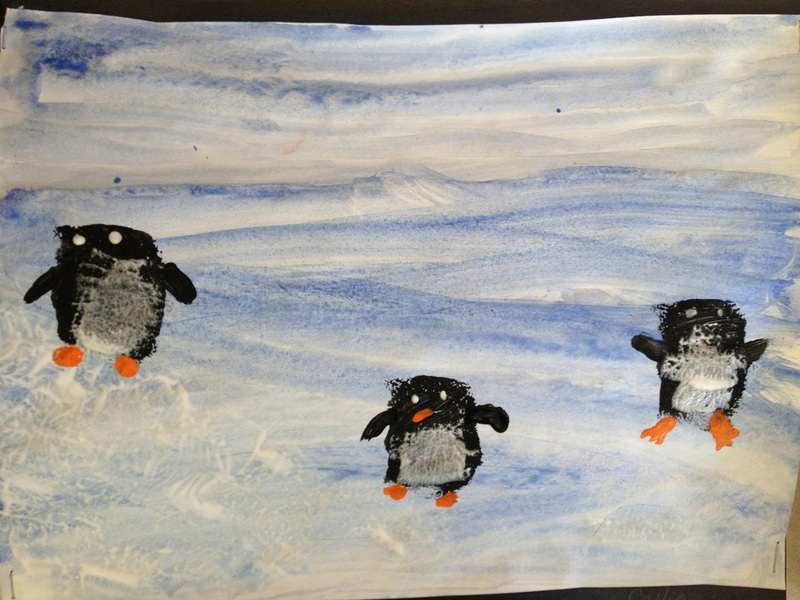 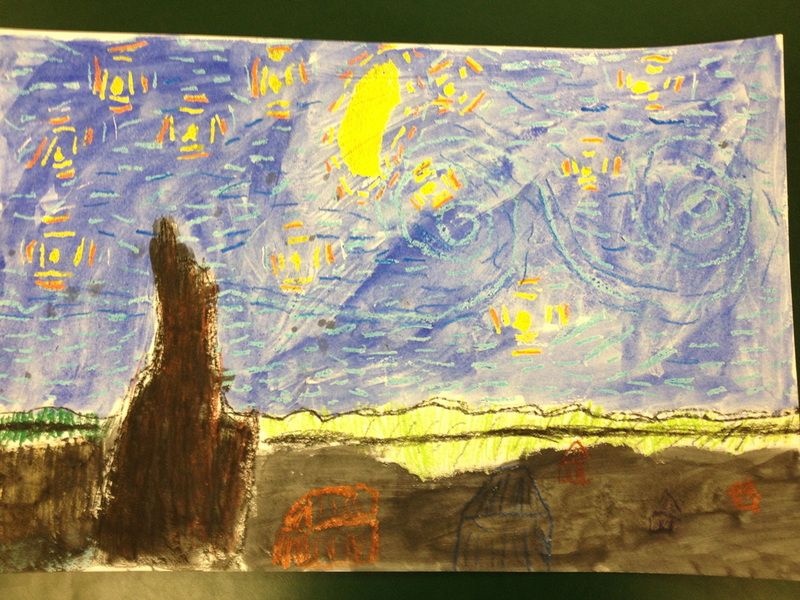 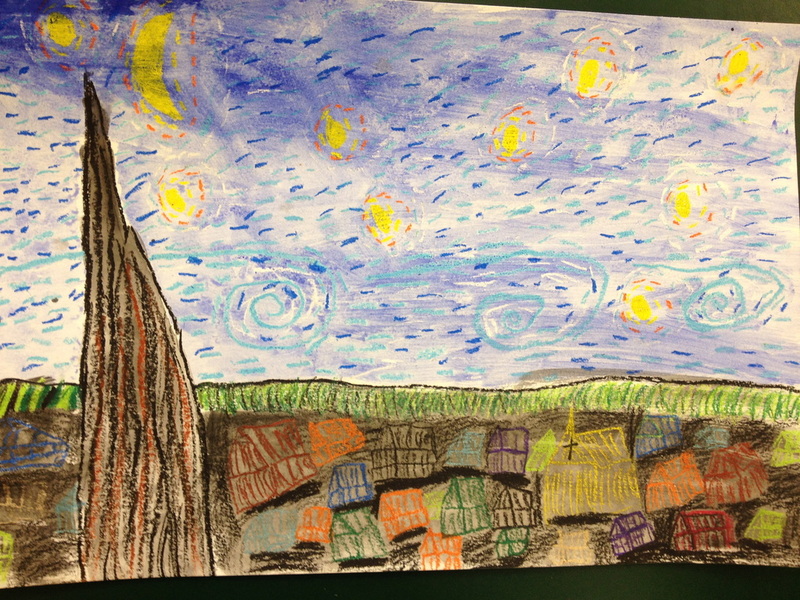 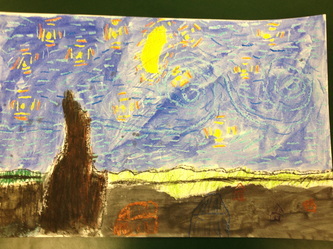 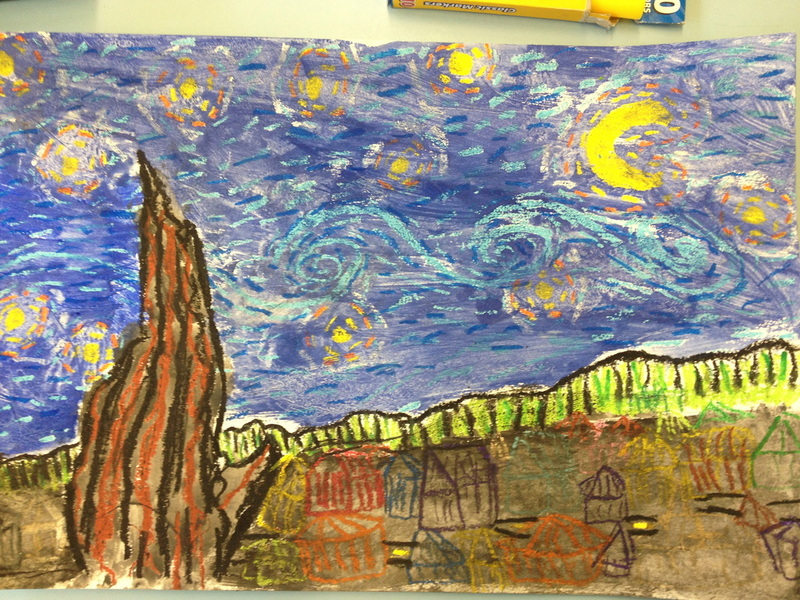 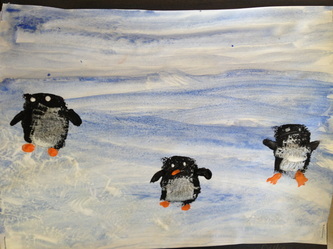 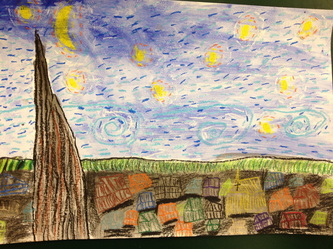 We used oil pastels and paint. 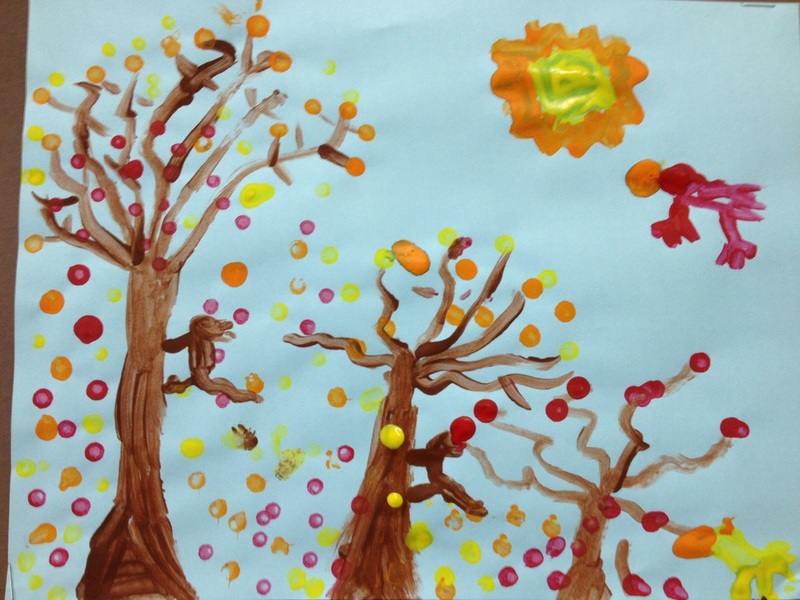 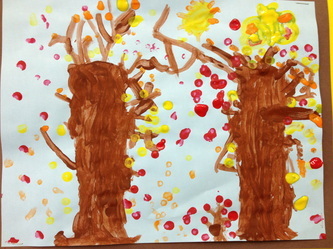 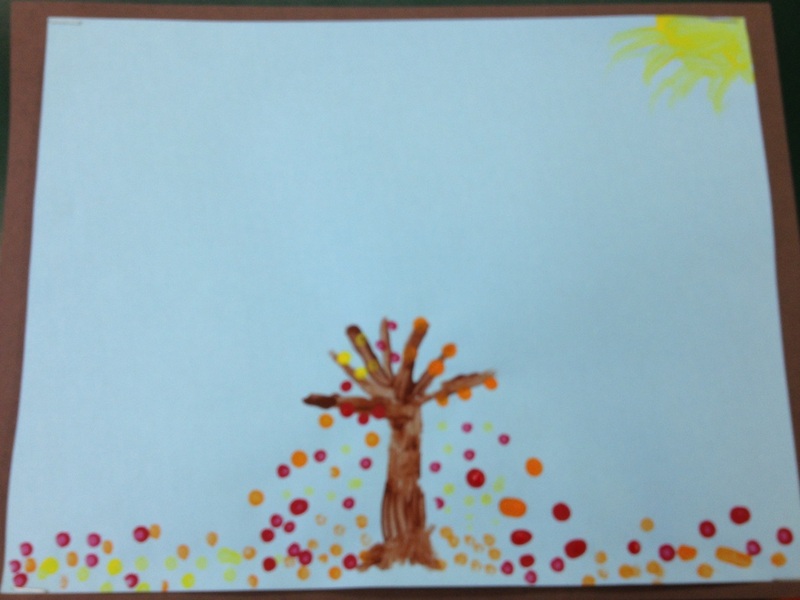 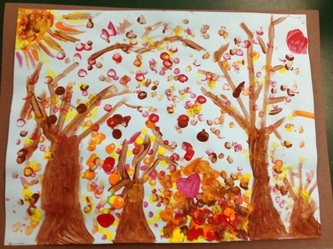 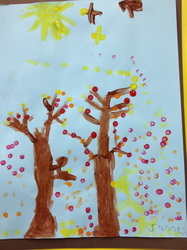 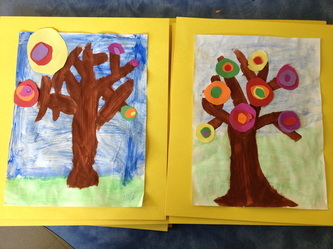 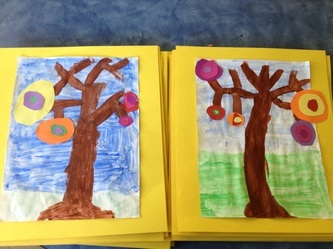 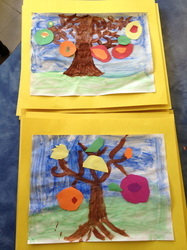 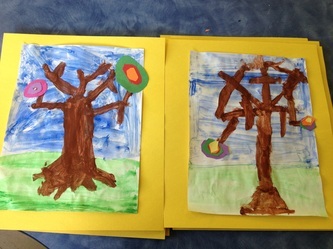 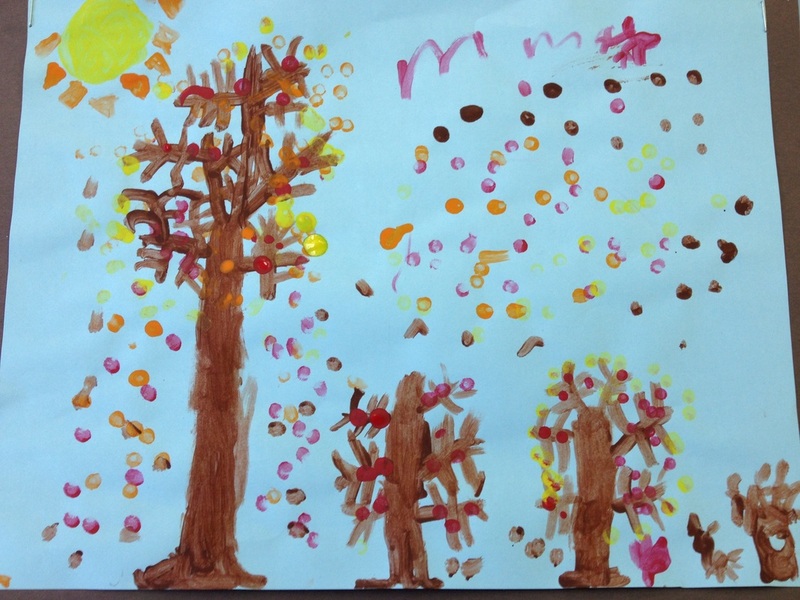 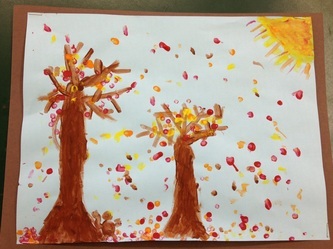 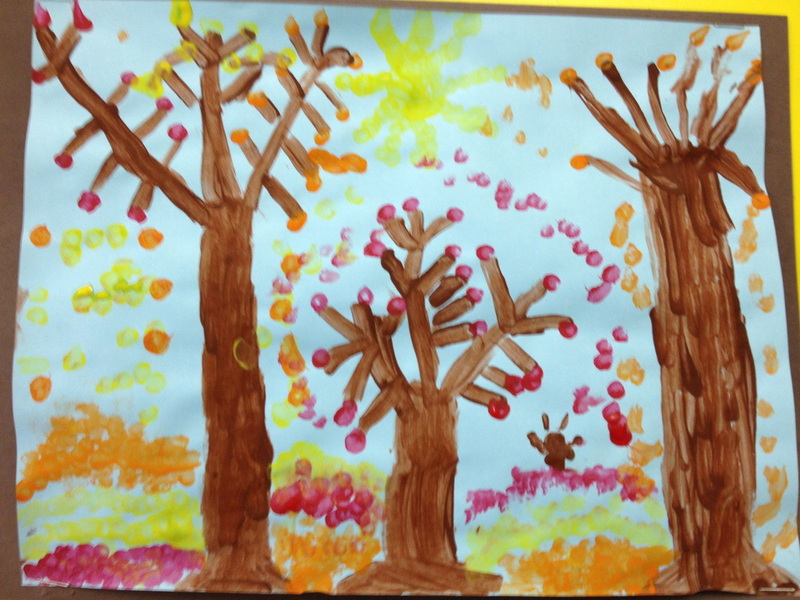 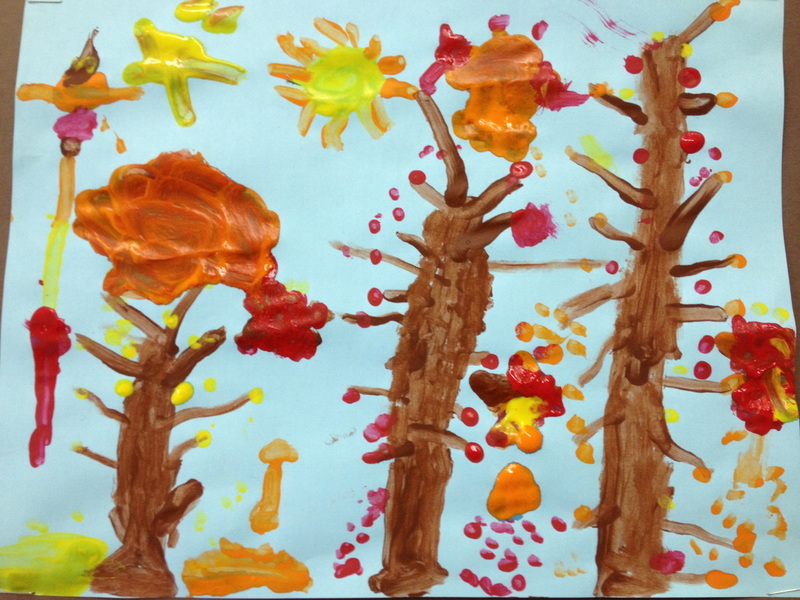 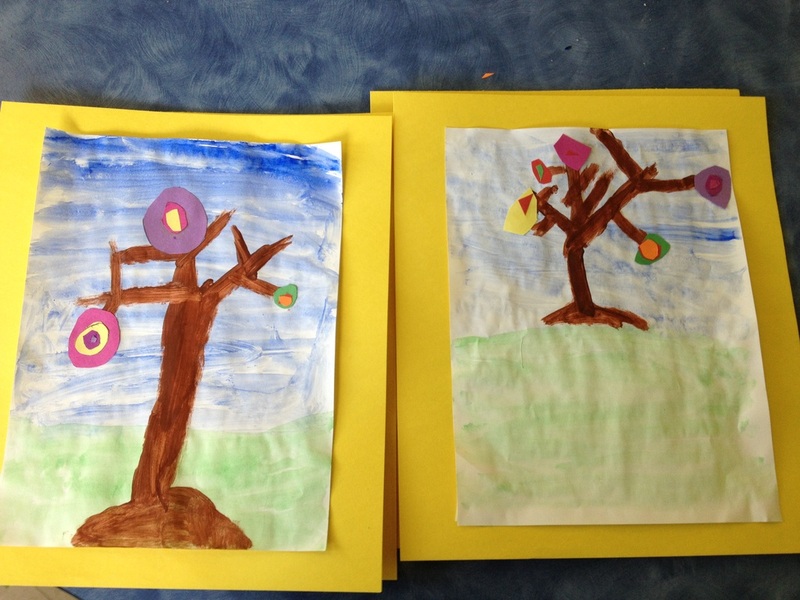 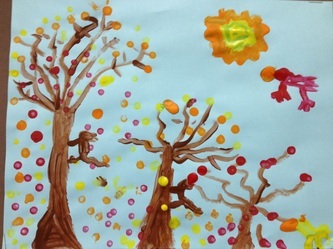 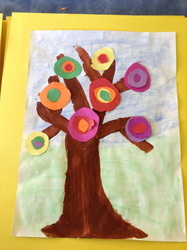 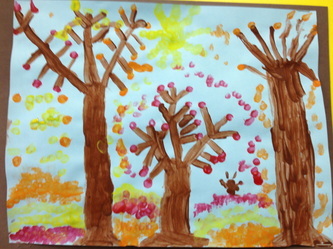 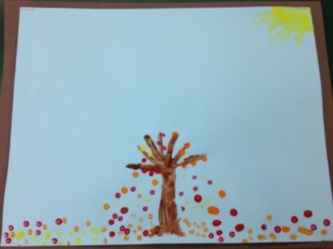 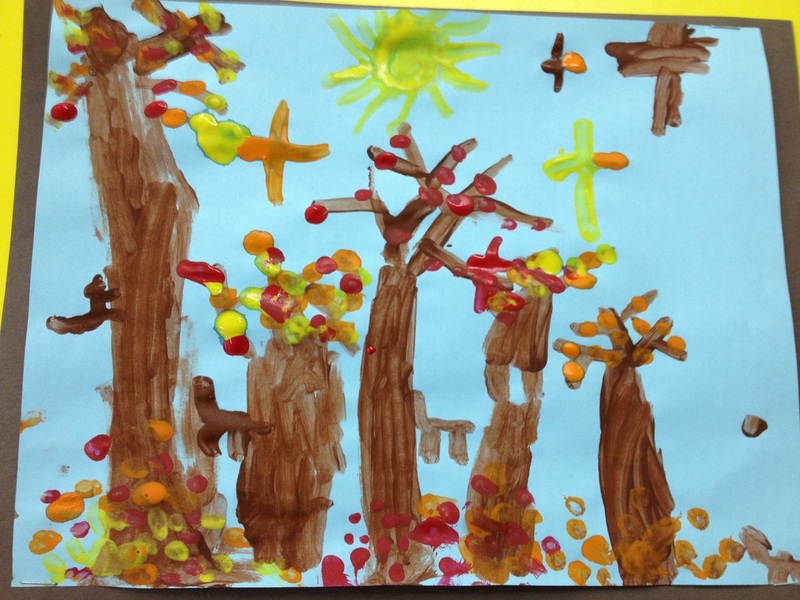 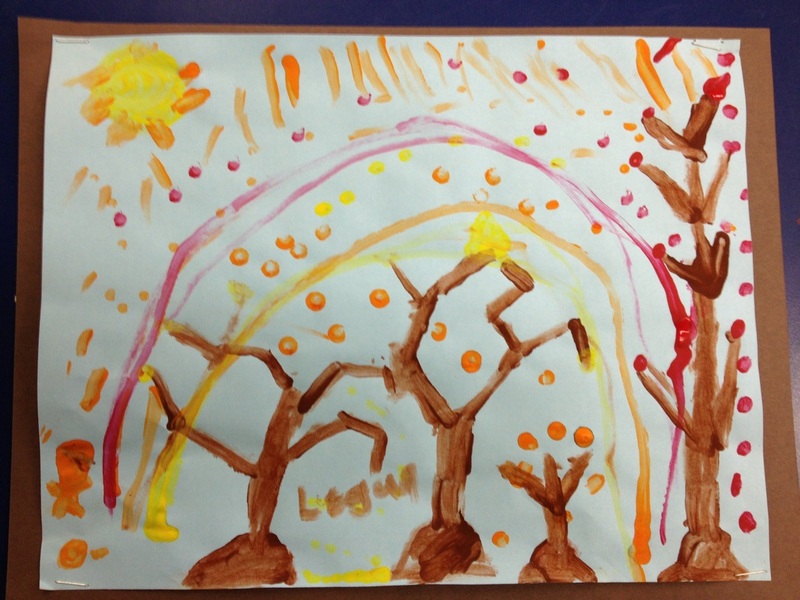 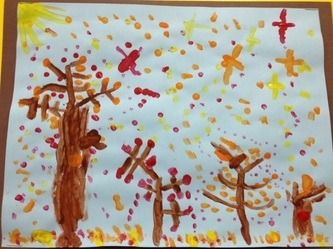 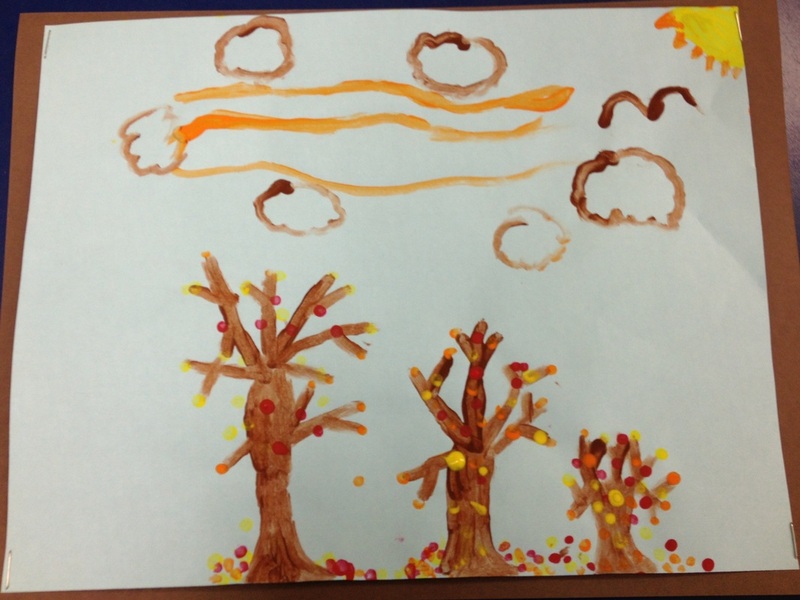 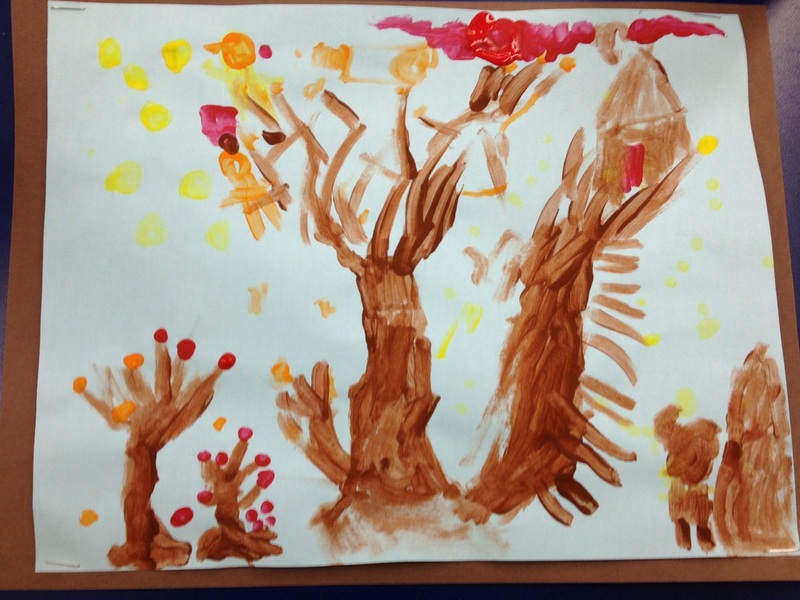 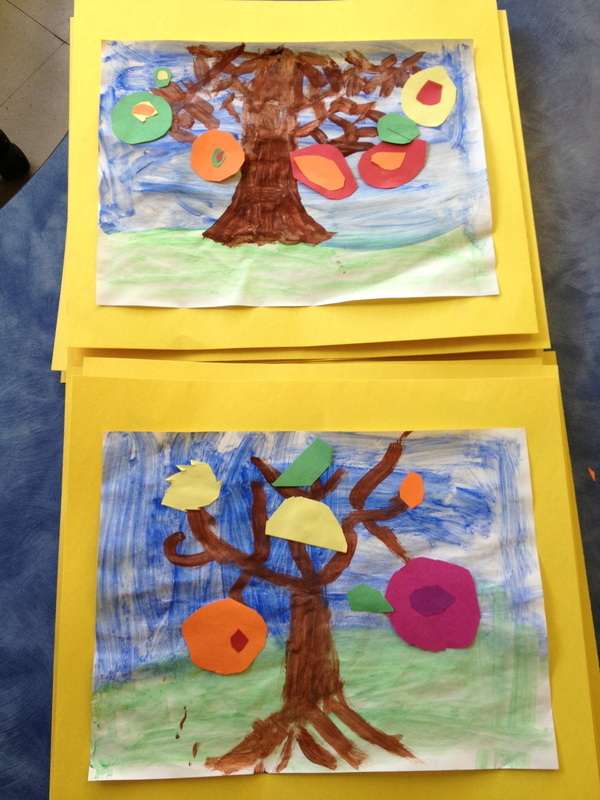 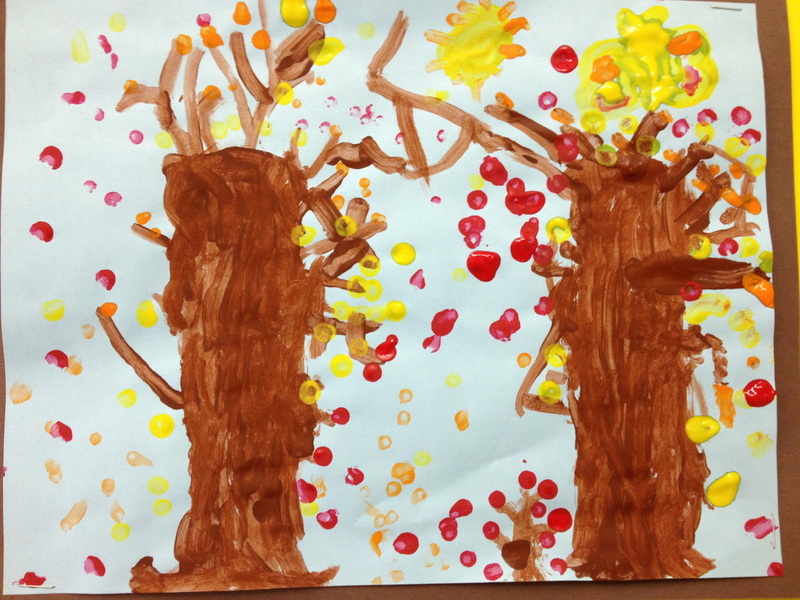 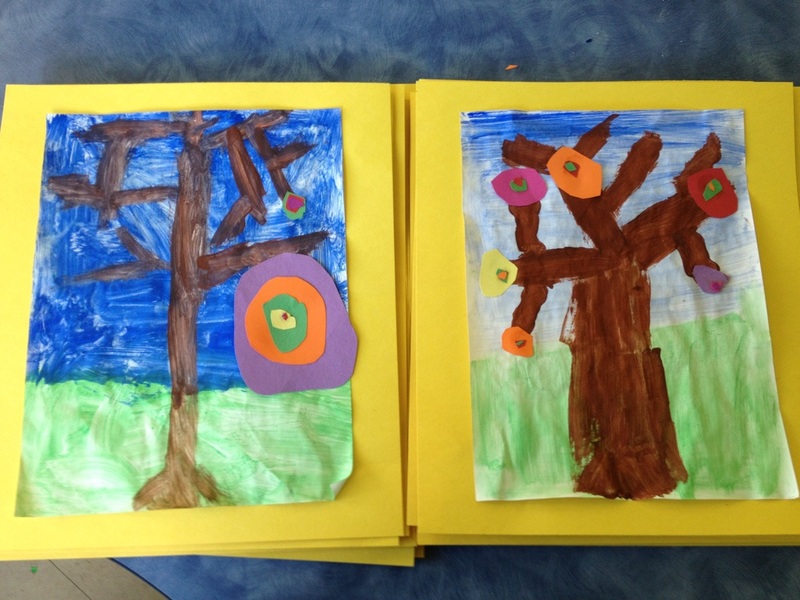 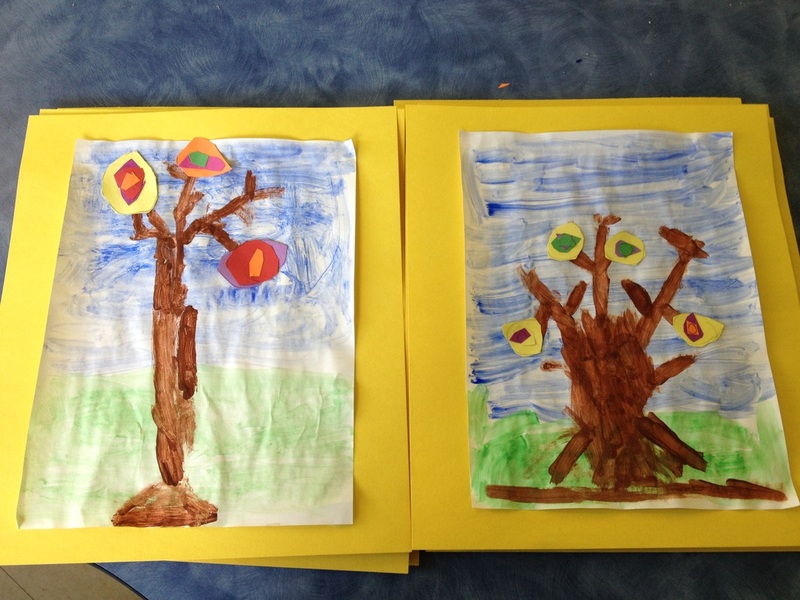 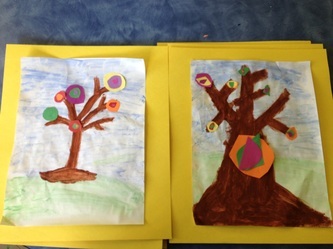 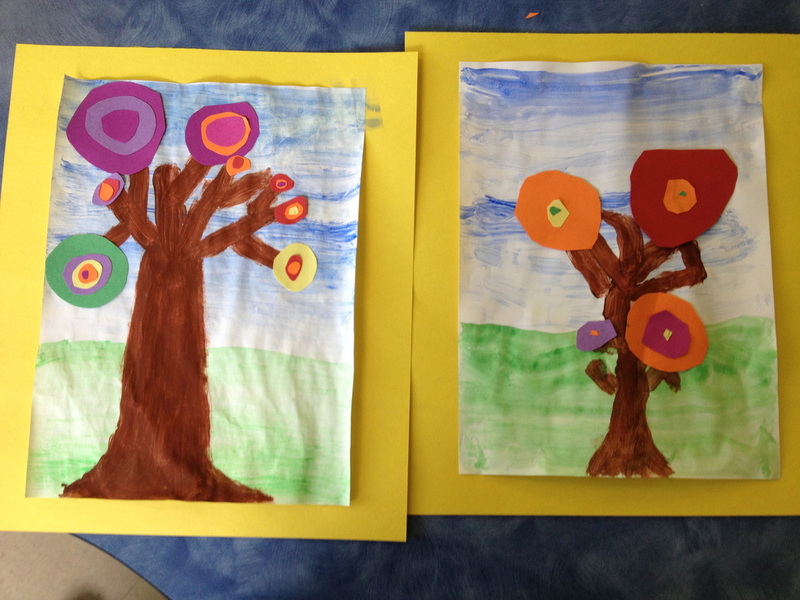 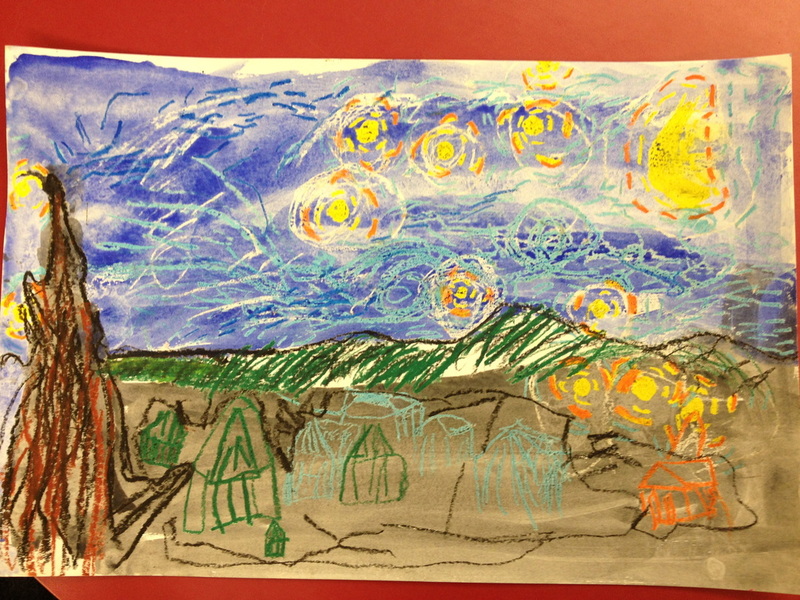 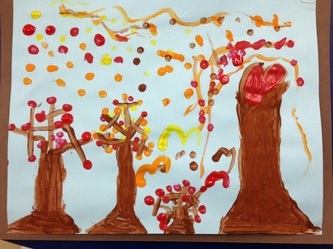 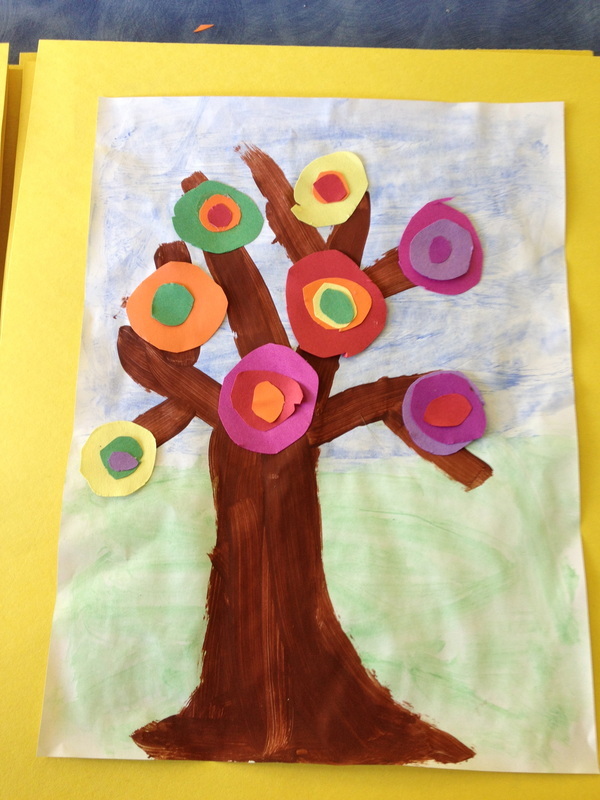 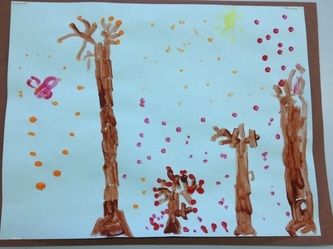 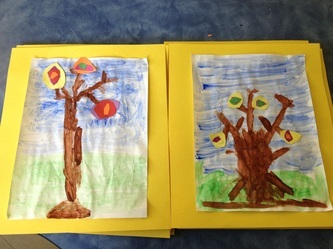 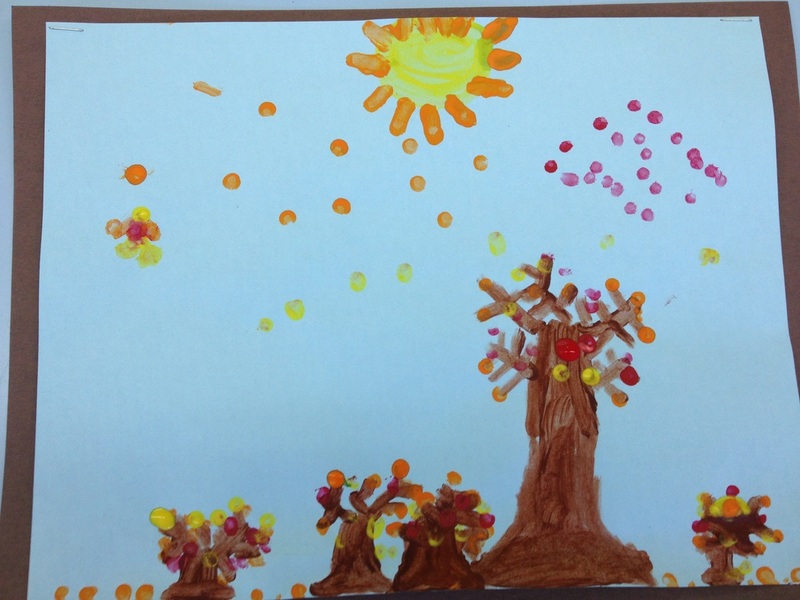 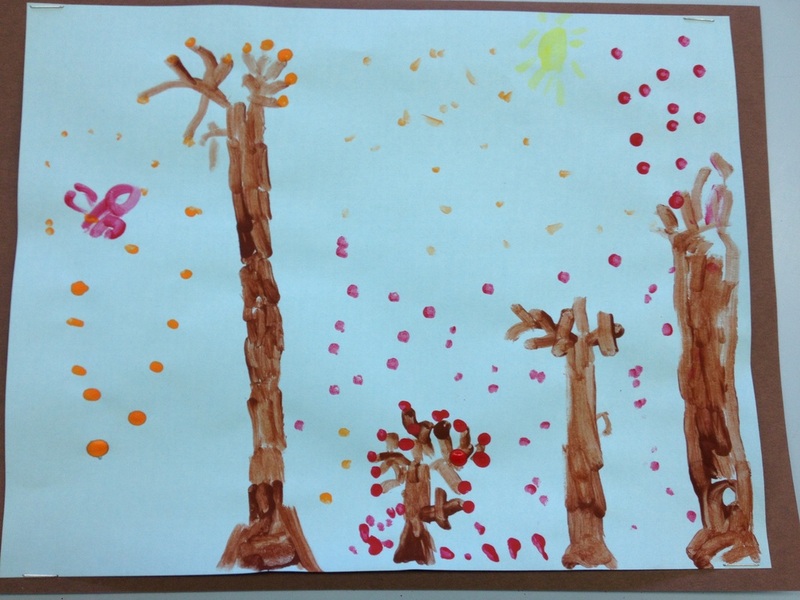 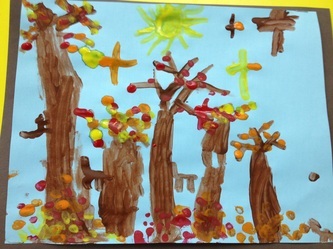 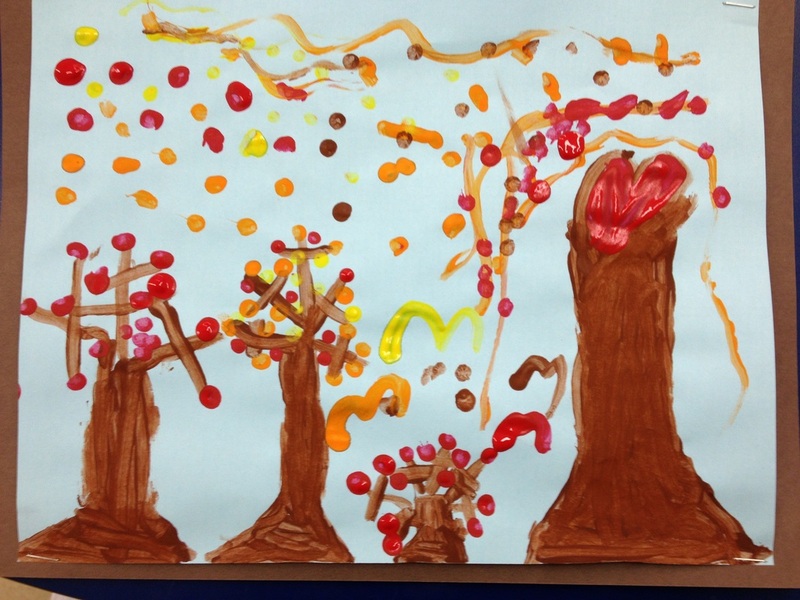 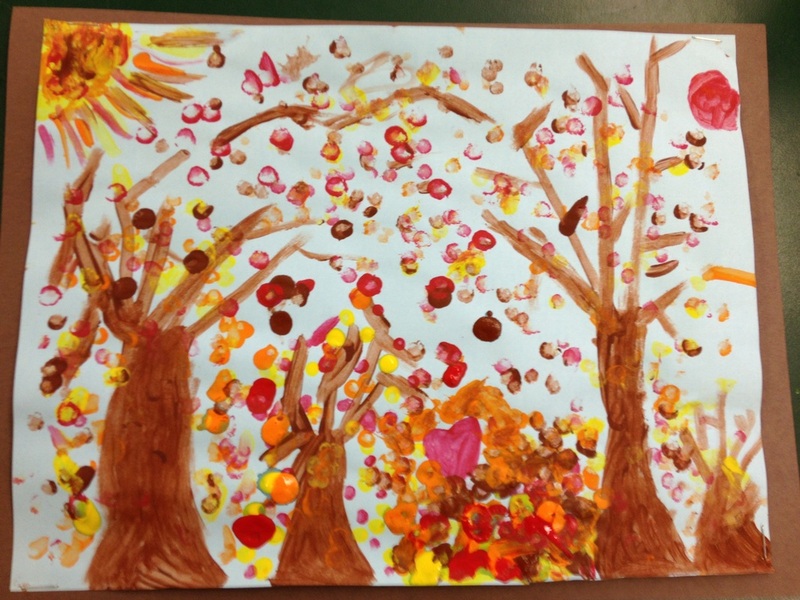 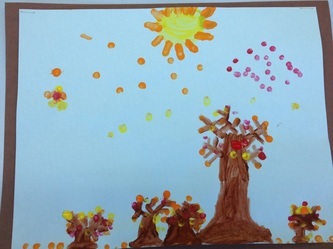 We painted our pictures with fall colours and q-tips. 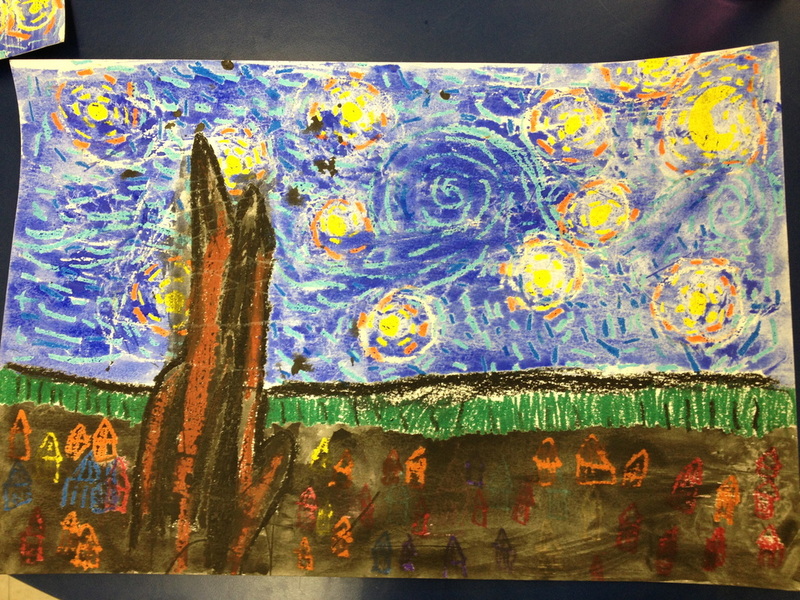 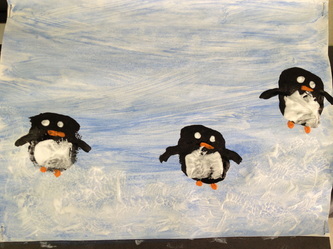 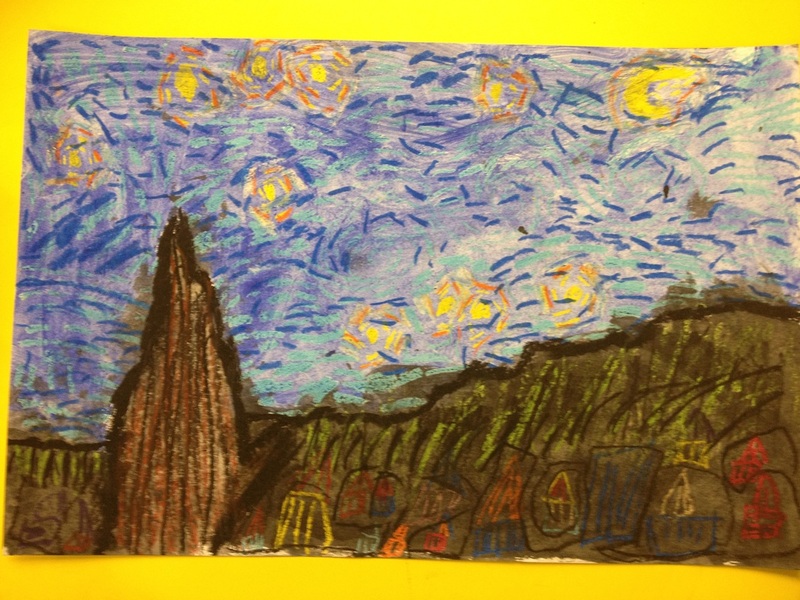 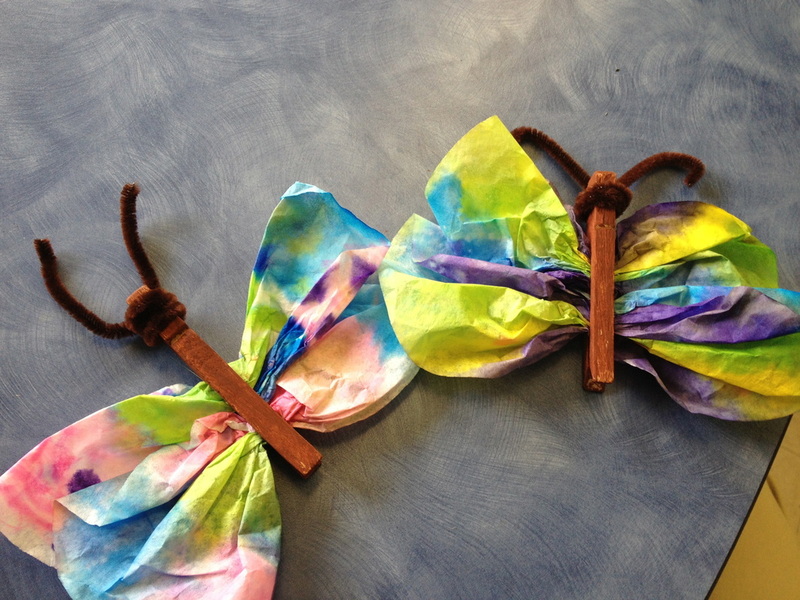 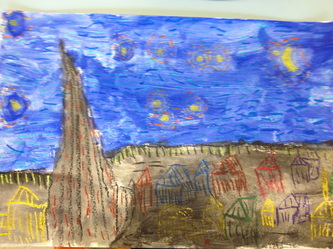 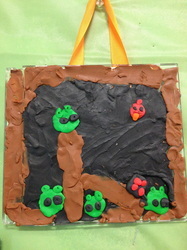 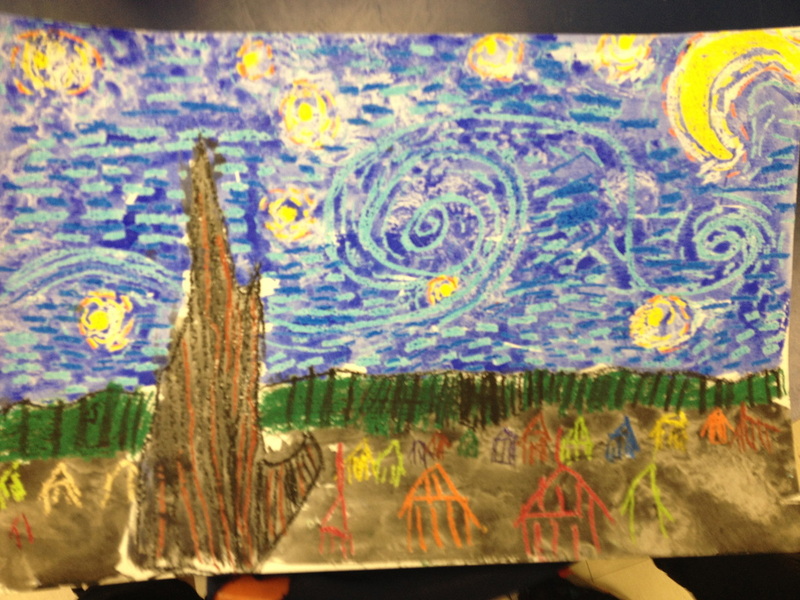 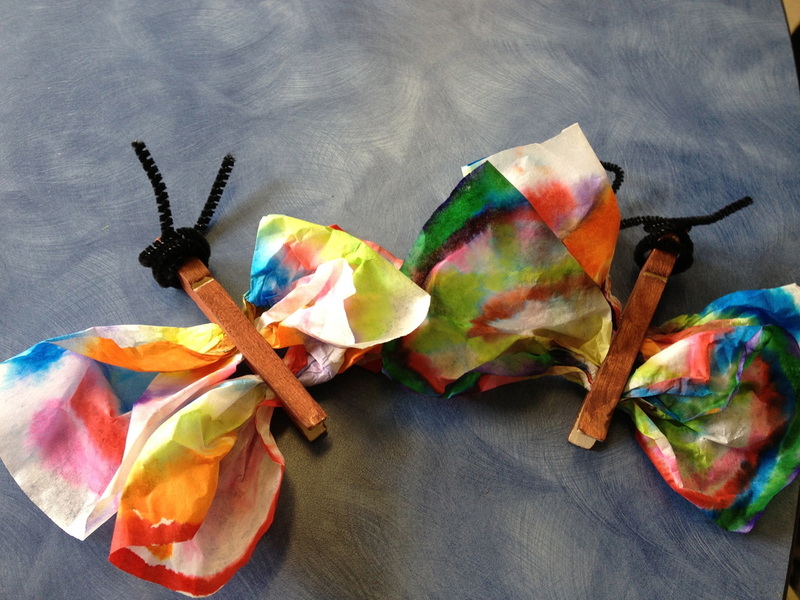 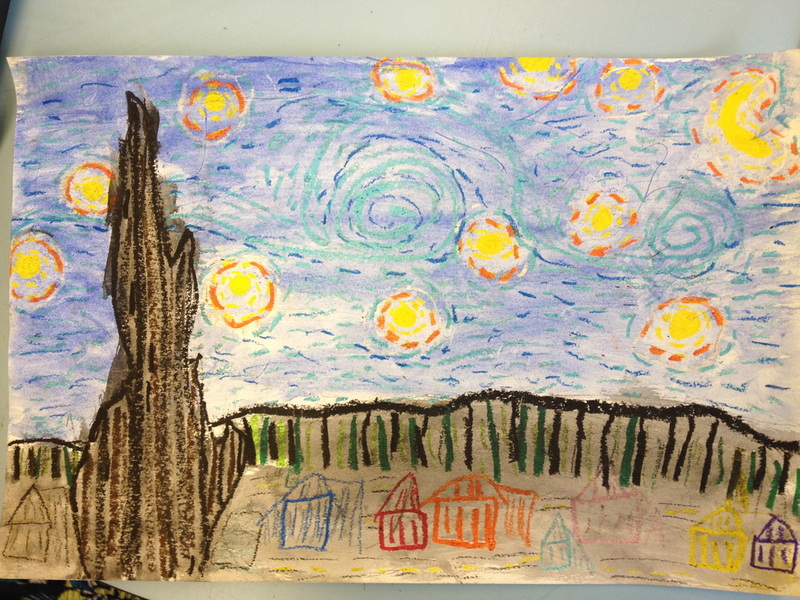 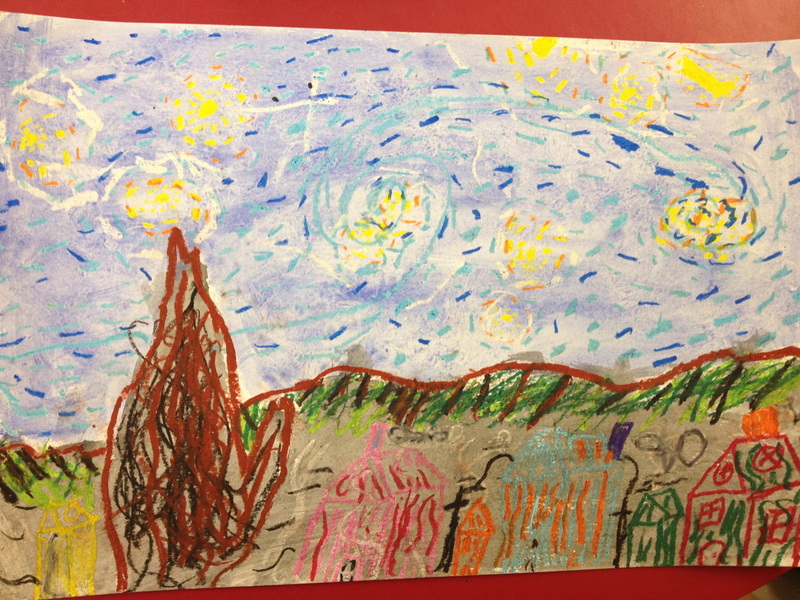 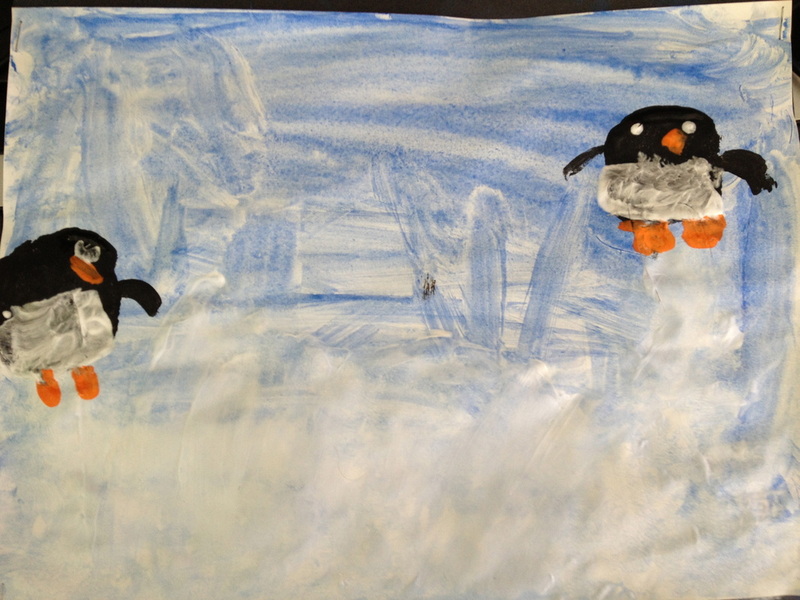 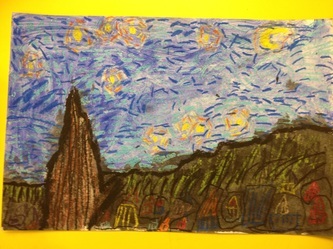 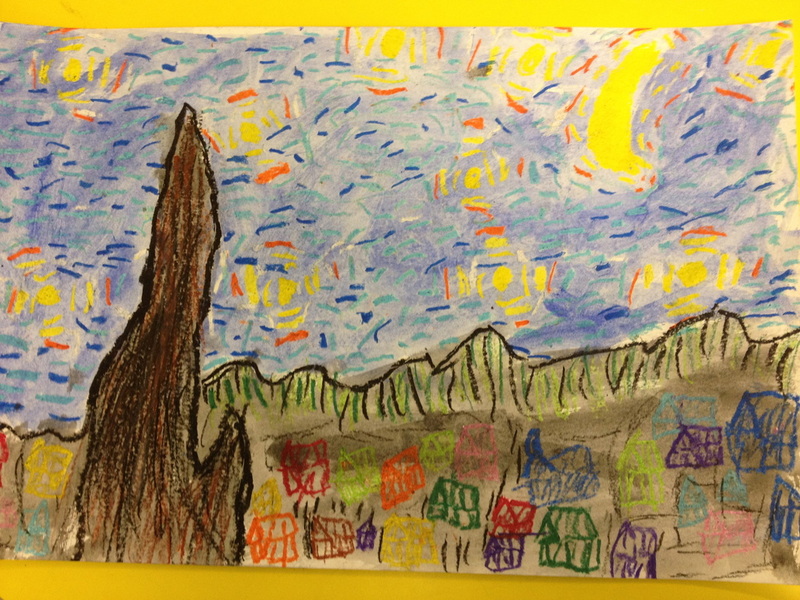 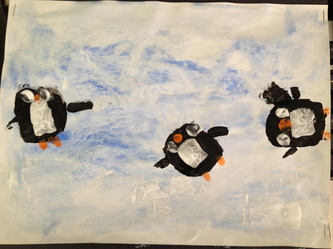 Great work Grade Two! 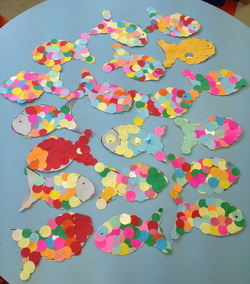 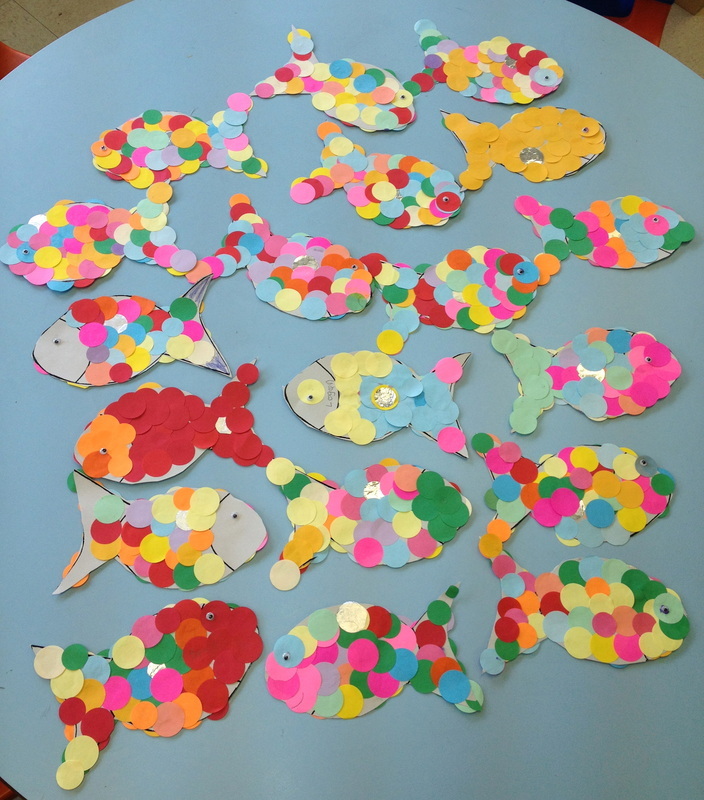 Here is our school of rainbow fish! Grade Two Learns School Rules! 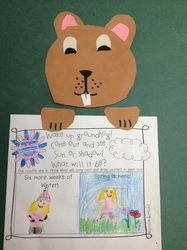 Click on the images on the right to view or hit play to view slideshow.